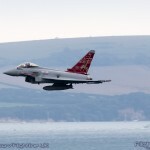 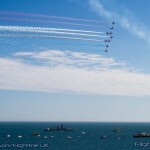 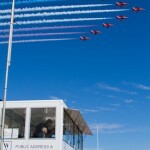 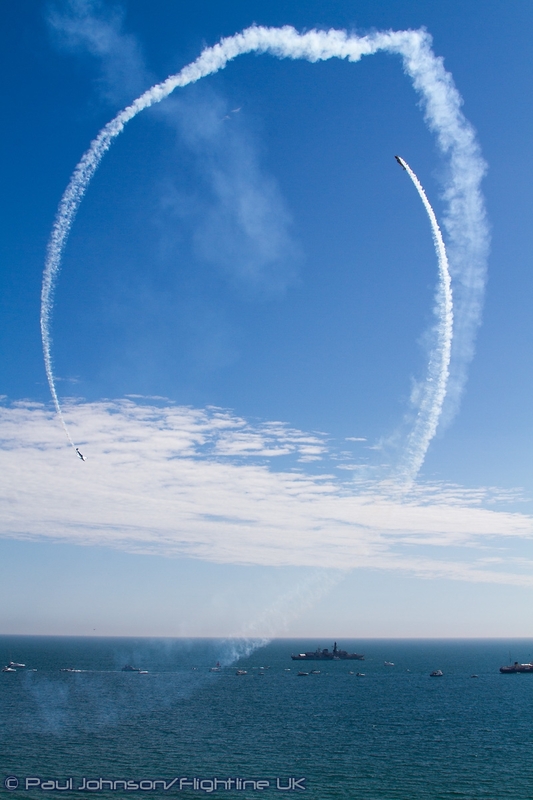 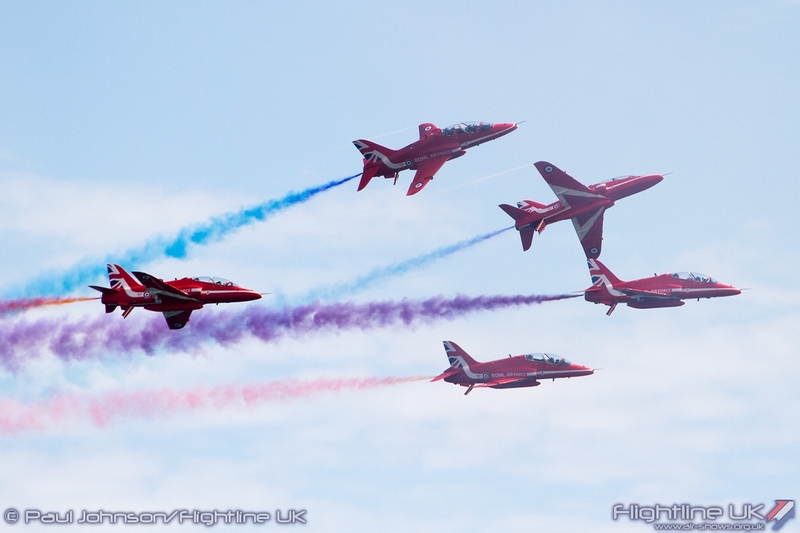 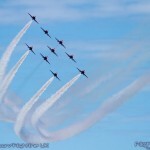 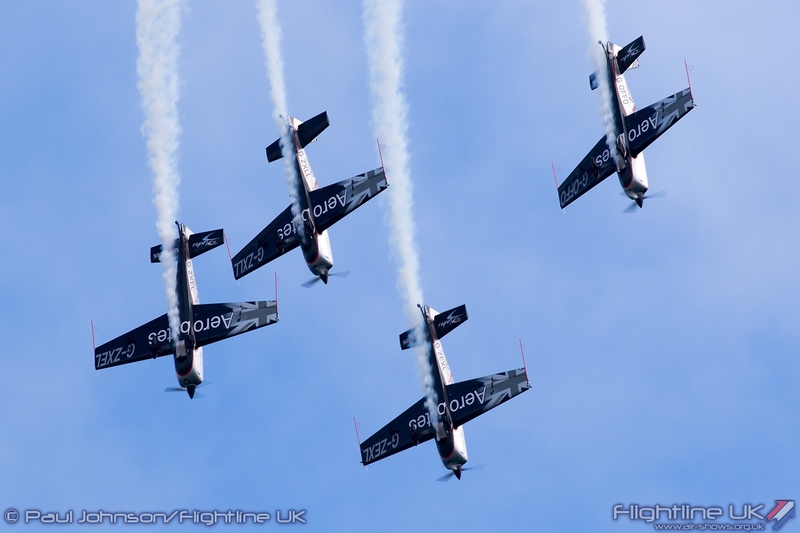 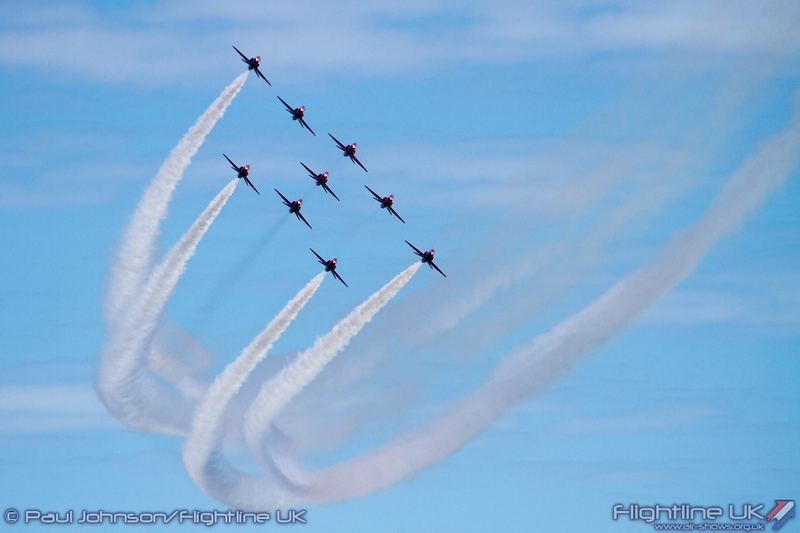 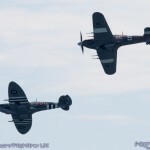 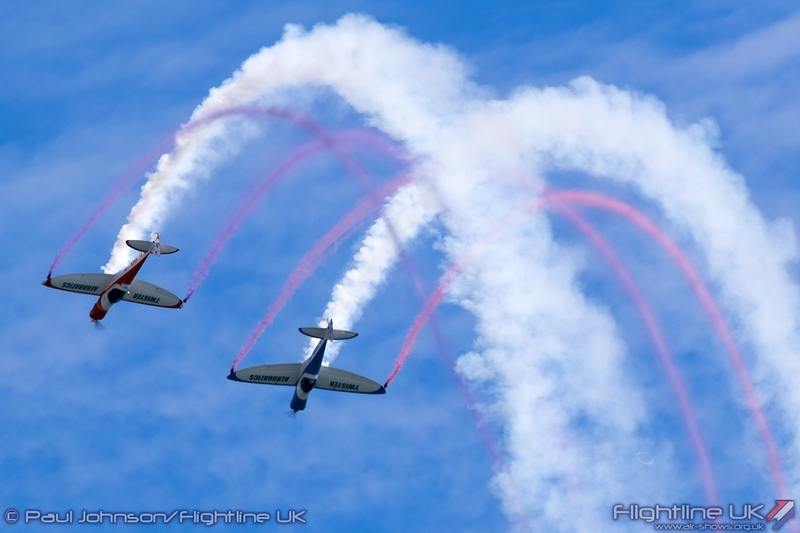 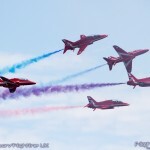 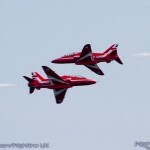 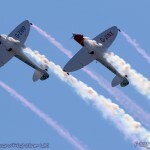 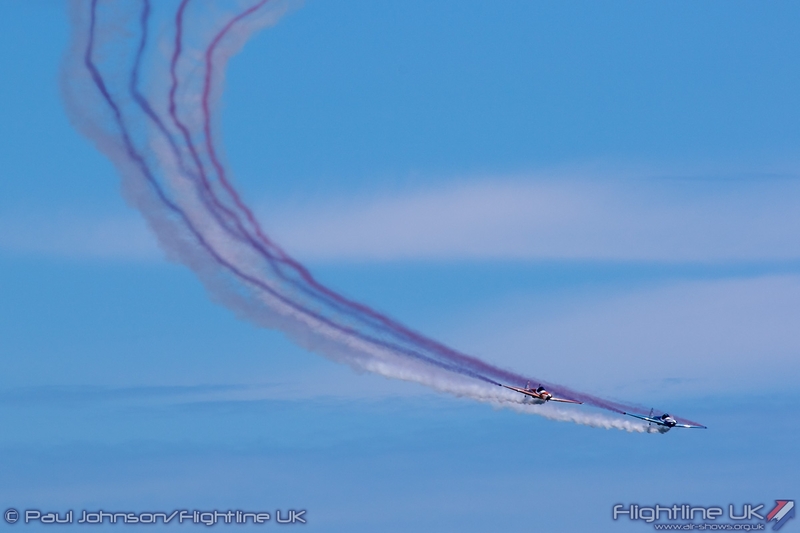 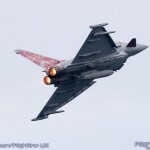 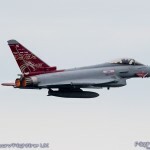 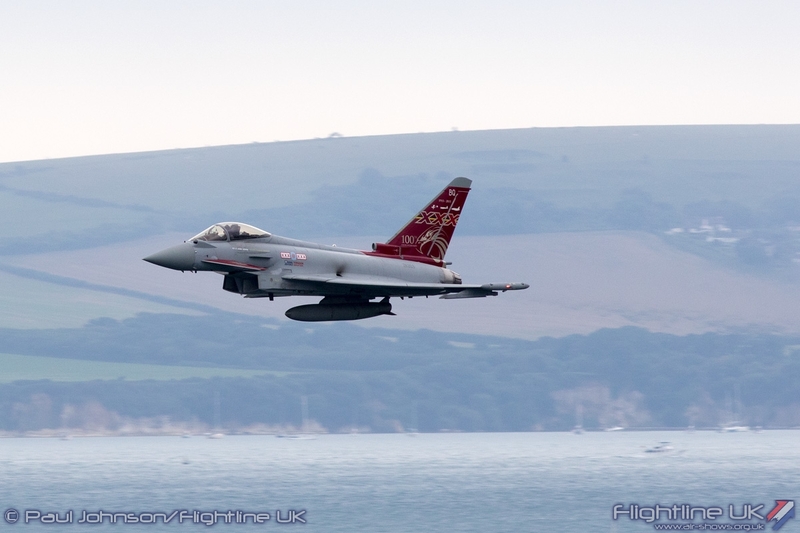 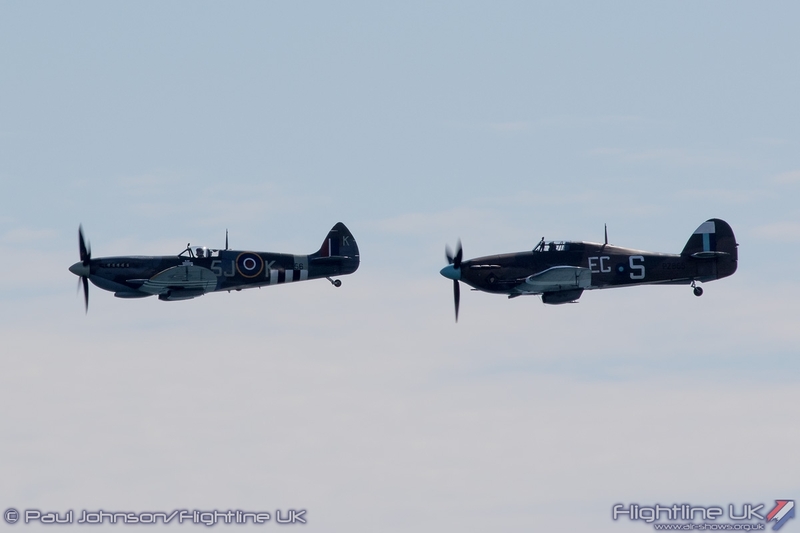 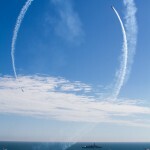 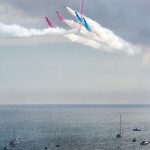 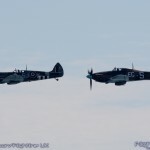 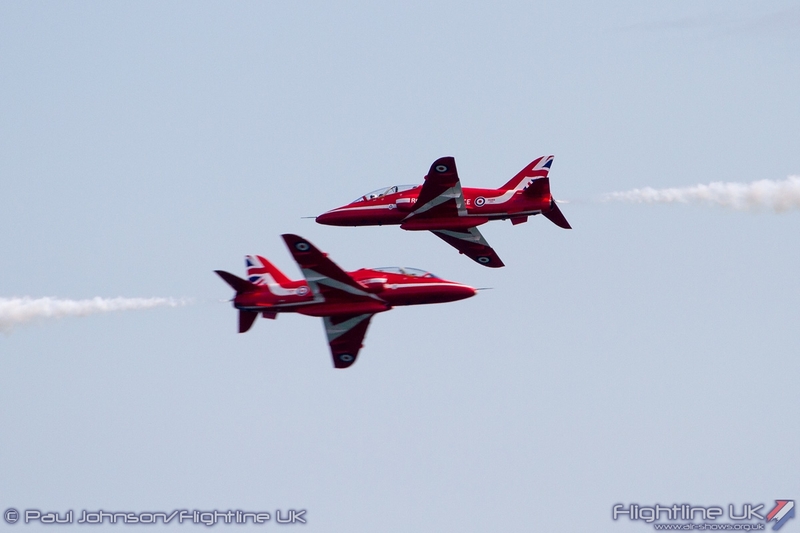 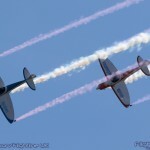 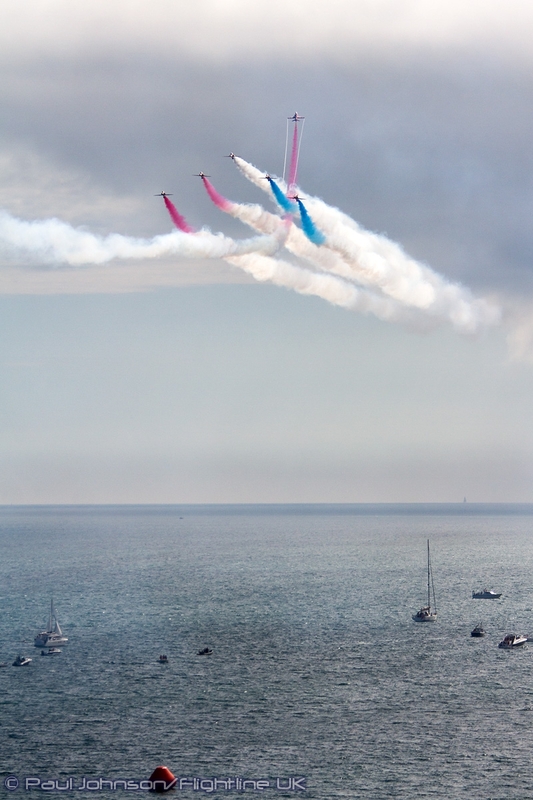 Bournemouth Air Festival in just eight years has become by far the most popular of the seafront airshows attracting audiences of up 1.4million over the four days. 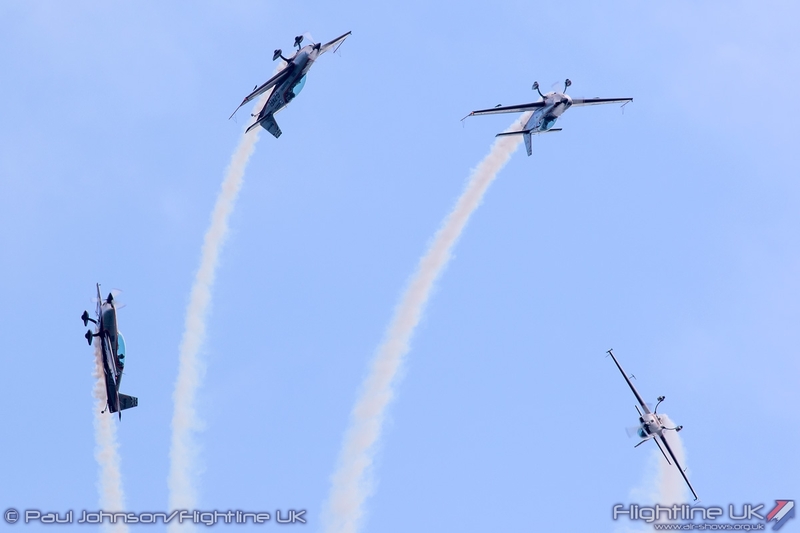 The Air Festival is not just a simple air display and offers great entertainment throughout the day and well into the evening with military ground displays, dusk air displays and concerts set around the main afternoon flying displays. 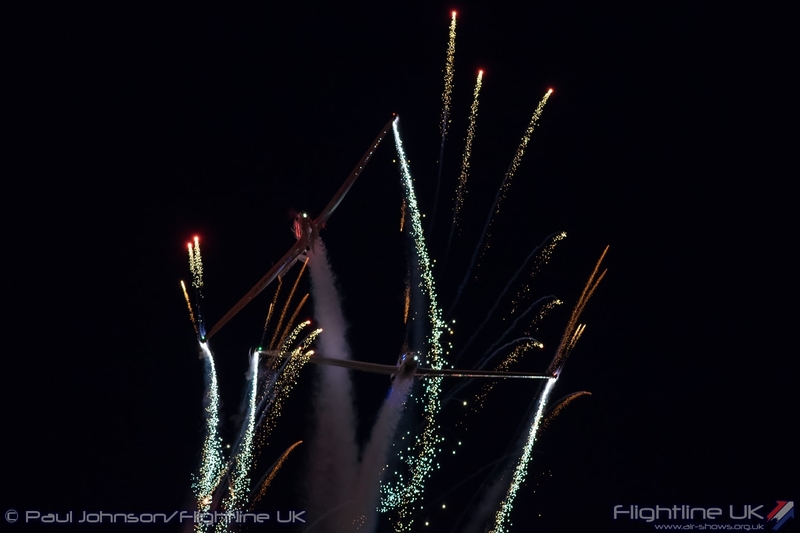 2015 saw the Air Festival mark the final ever appearance by the Vulcan alongside an international line-up of display participants. 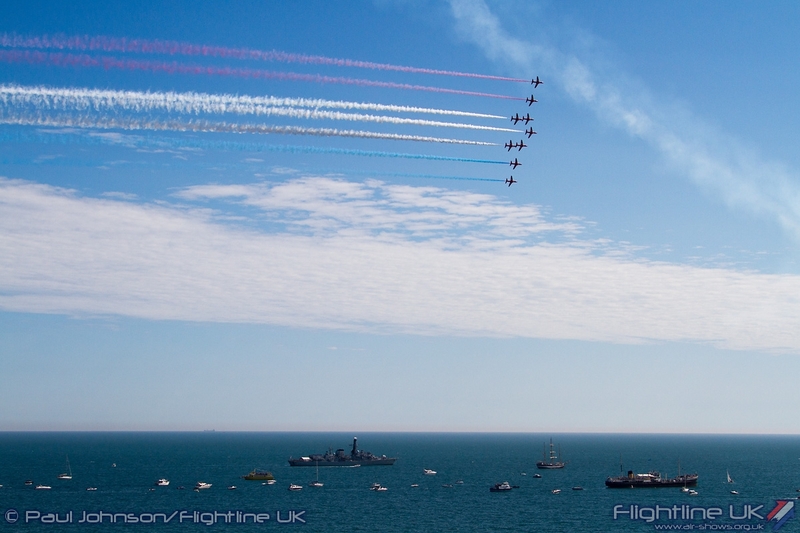 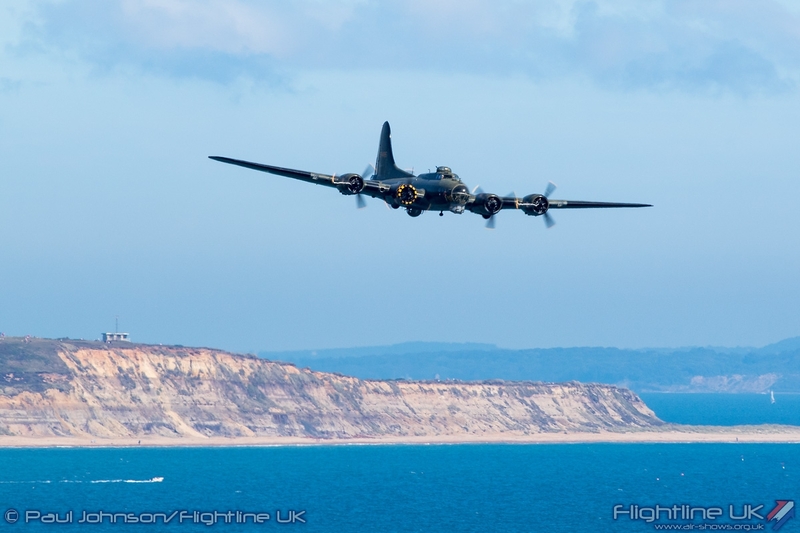 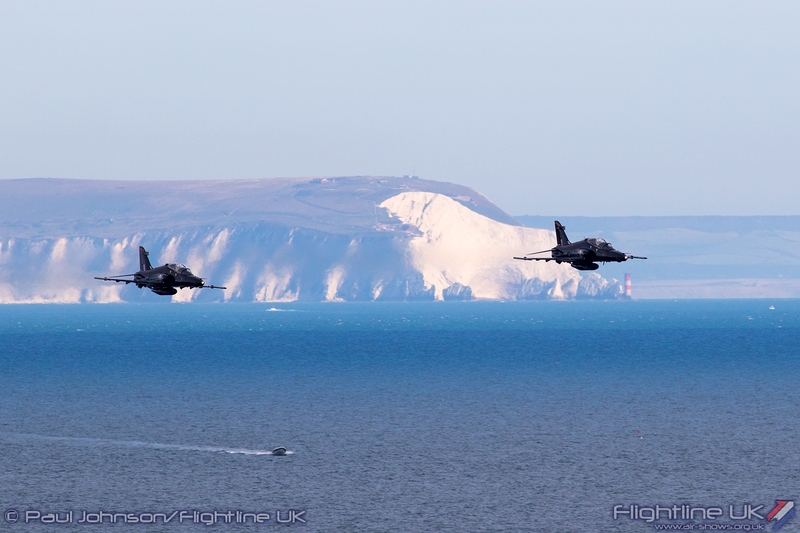 Set against the stunning backdrop of the Solent, Dorset Coastline and the cliffs of the Isle of Wight, the Bournemouth seafront is a very special place for an airshow. 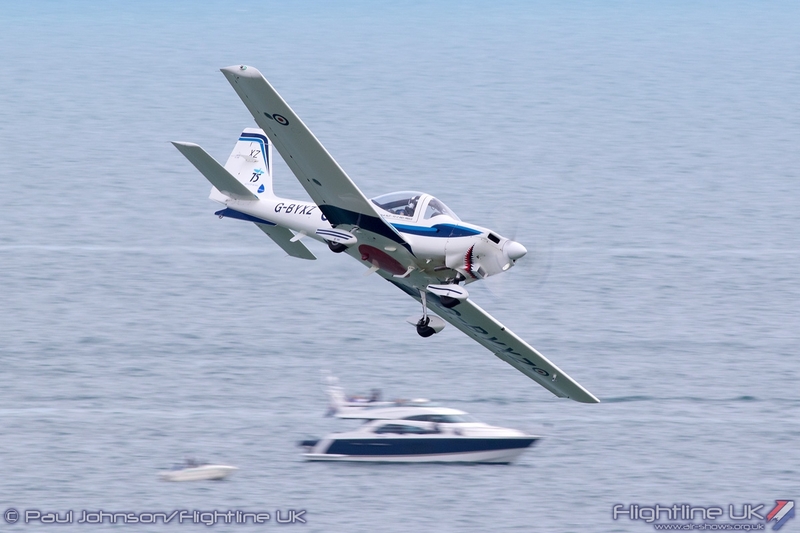 On its busiest days, the display area between Boscombe and Bournemouth Piers becomes an amphitheatre for flight with over a 1000 boats moored on the southern extents of the display areas and thousands watching from the beach and clifftops. 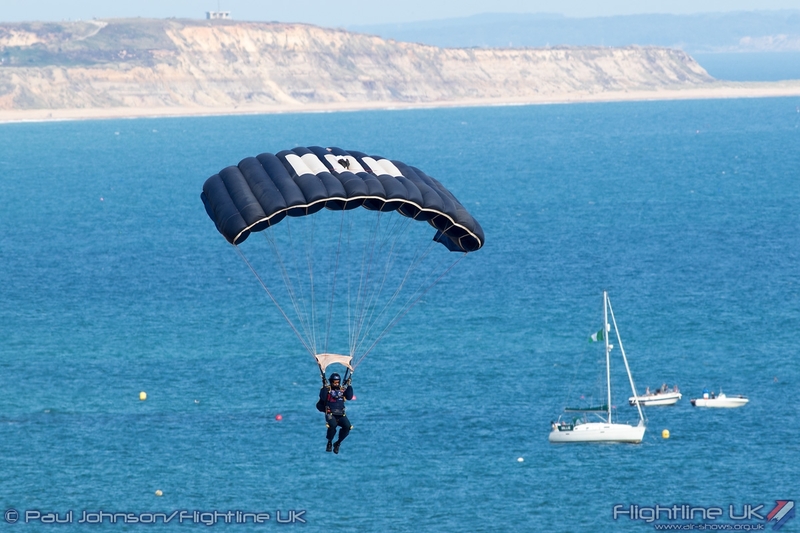 The beaches, particularly at the weekend become incredibly busy and they stay busy into the evenings as people enjoy two different concerts at either Boscombe or Bourmemouth Piers. 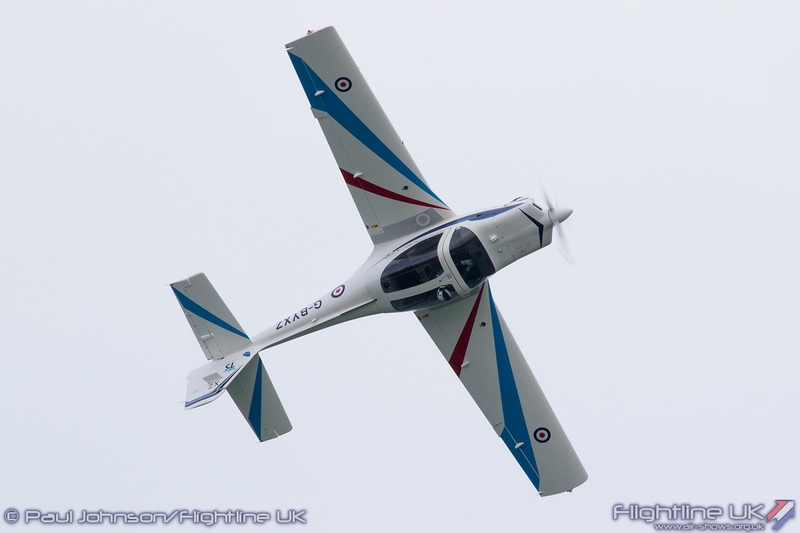 Sadly weather proved too much of a challenge on the opening day with stubborn low cloud and rain persisting throughout the day eventually leading to the cancellation of all flying displays. 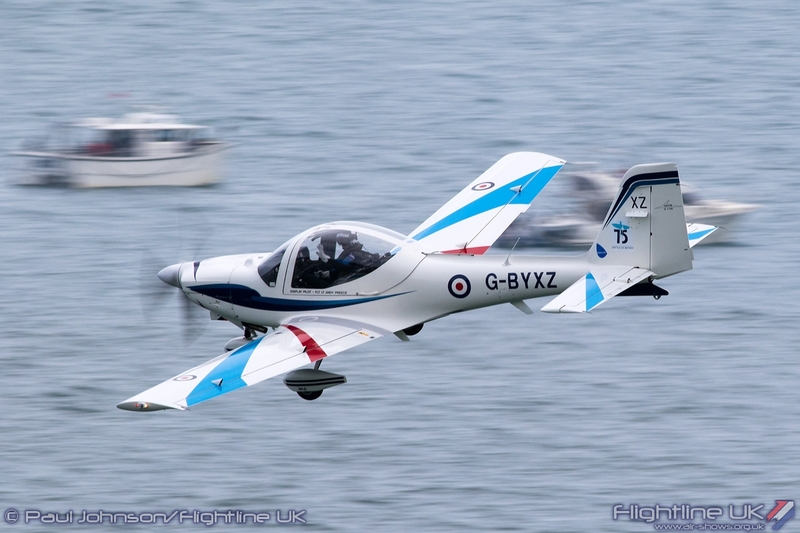 Things improved markedly on Friday and stayed fair throughout the weekend for the rest of the flying displays. 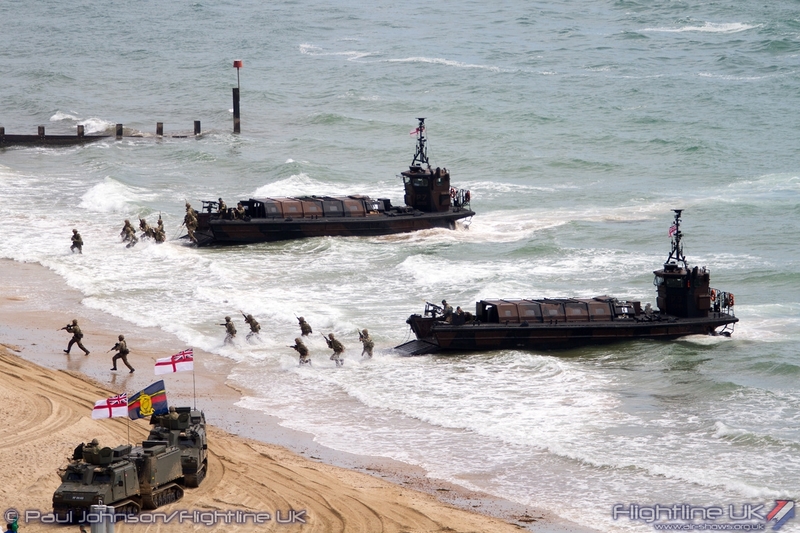 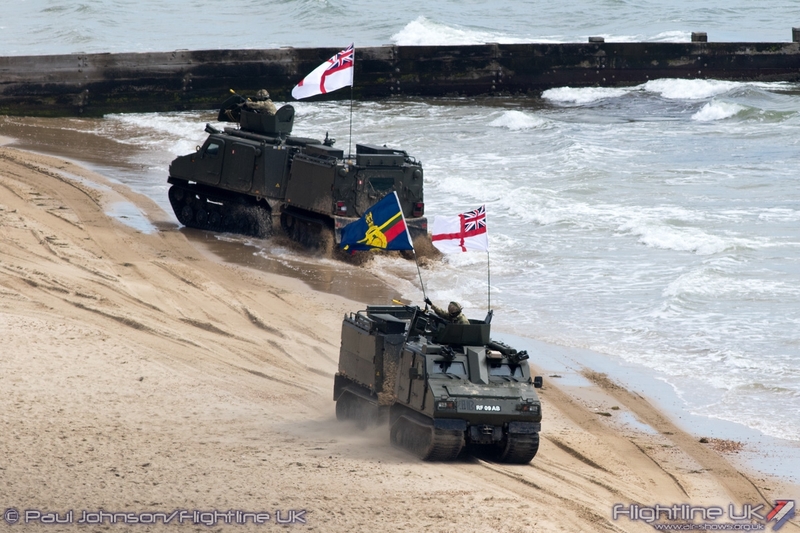 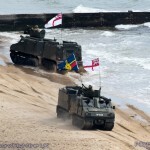 The UK’s Armed Forces see Bournemouth as one of the most important public events they support. 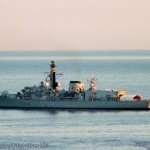 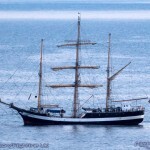 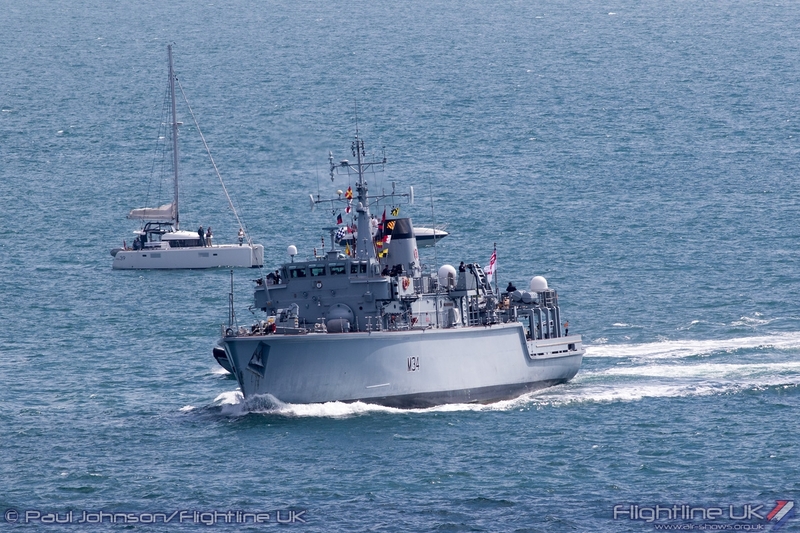 The Royal Navy in particular take full advantage sending a small flotilla of ships to support the event and take part in a daily Role Demonstration. 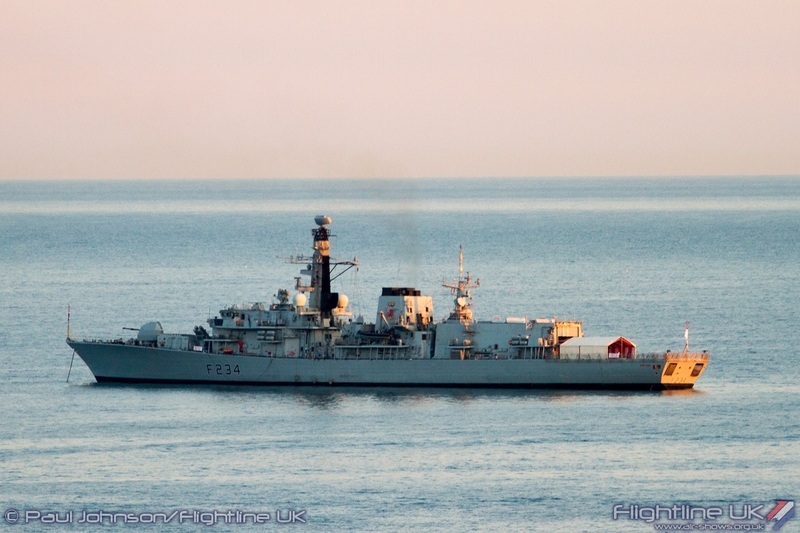 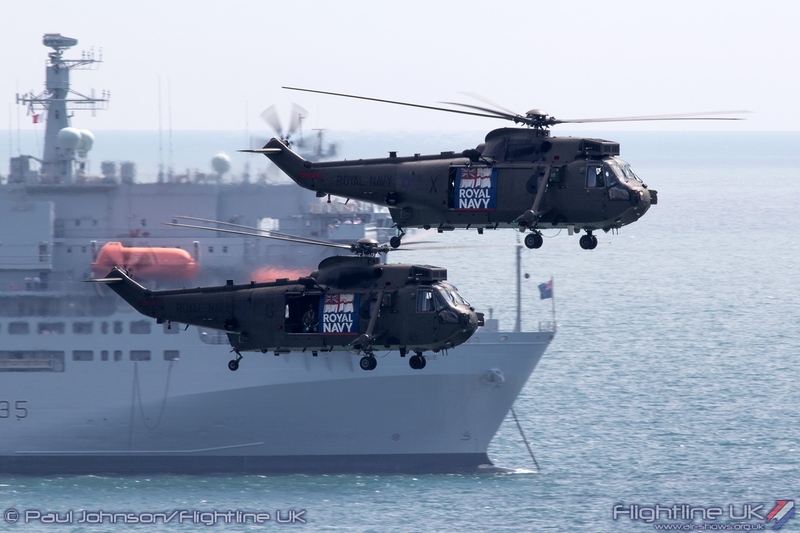 This year saw the giant RFA Argus joining by the Frigate HMS Iron Duke and the minesweeper HMS Middleton as well as the smaller HMS Dasher and Express patrol and training boats. 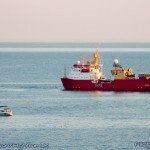 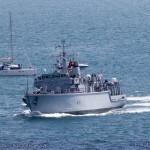 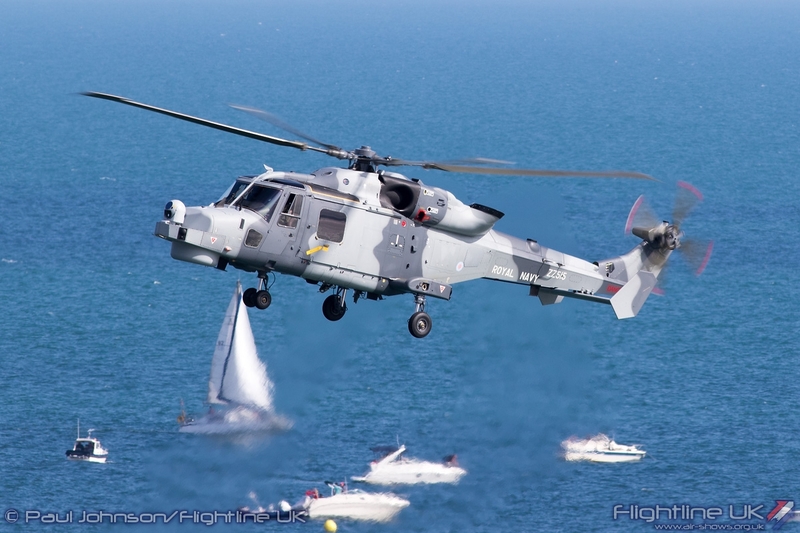 This year’s role demonstration was based on anti-piracy operations and saw Argus, Iron Duke and Middleton launch operations to intercept pirates and rescue a hostage. 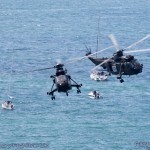 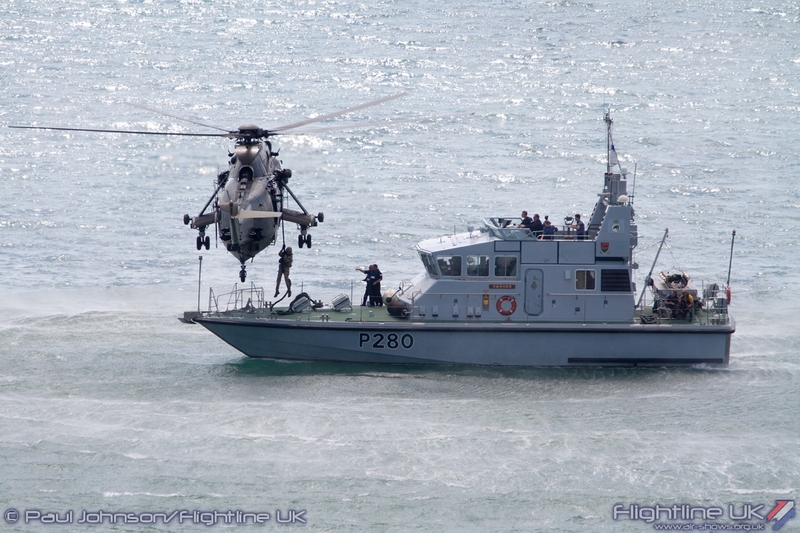 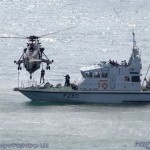 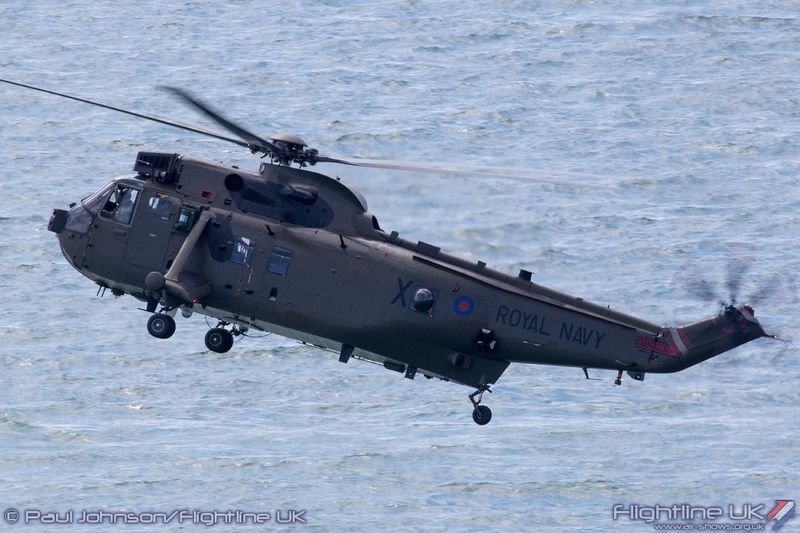 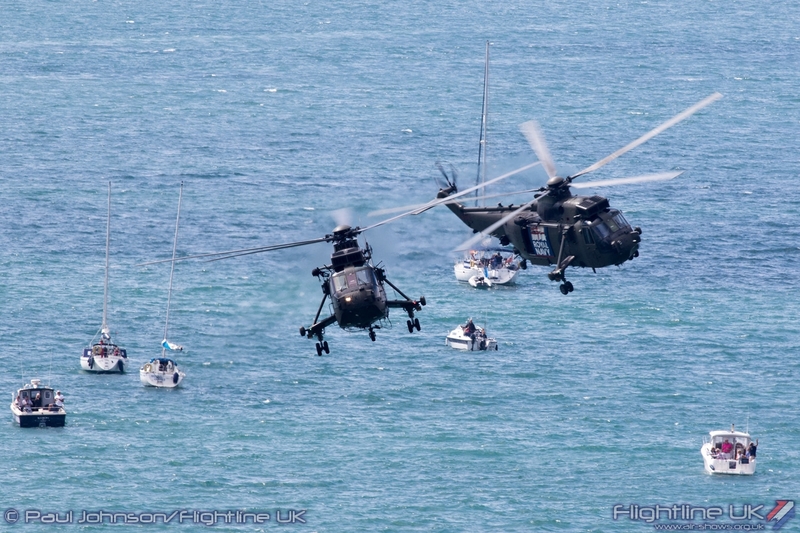 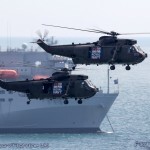 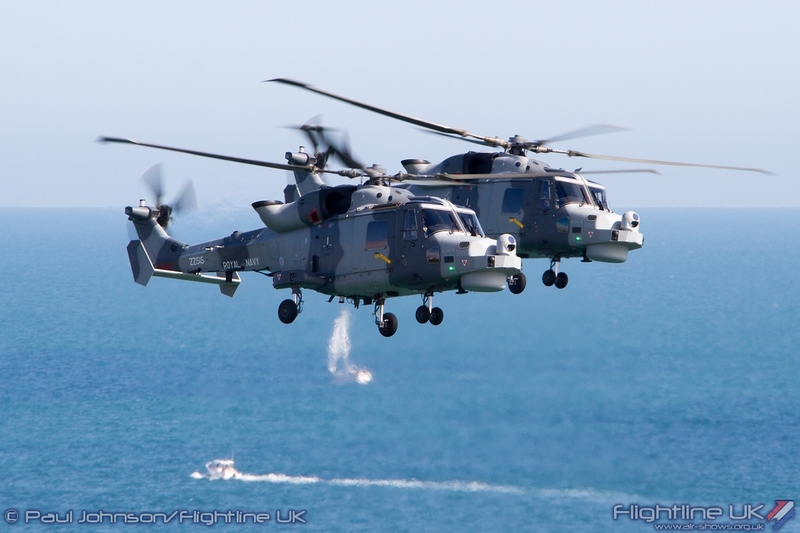 They were supported by a pair of AgustaWestland Wildcat HMA2s, a pair of Westland Sea King HC4s, the Royal Marines, Viking armoured vehicles and landing craft. 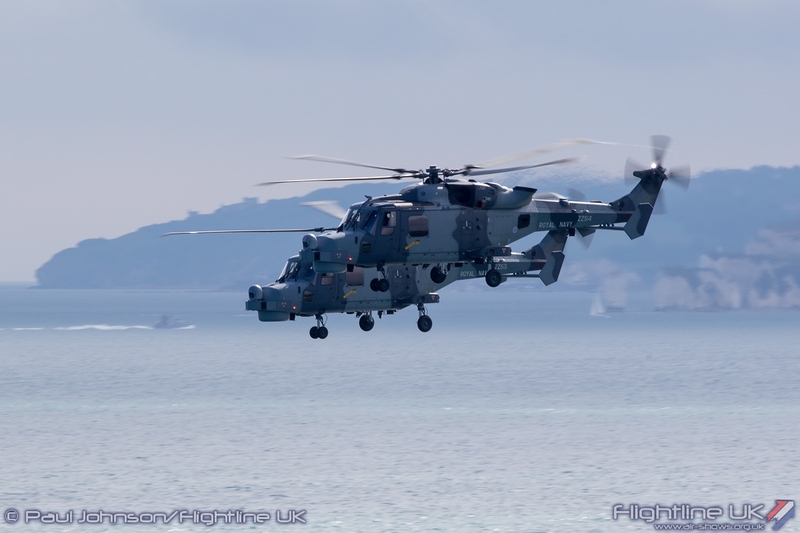 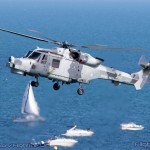 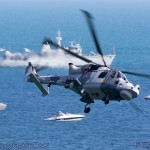 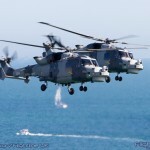 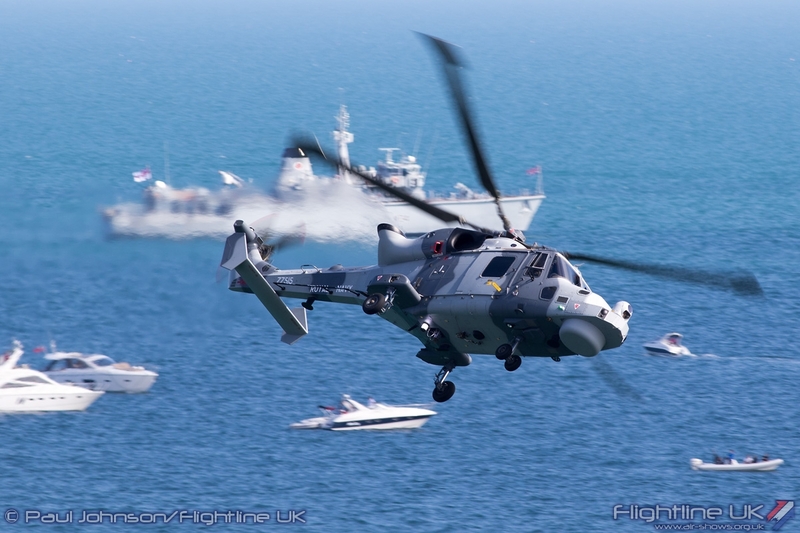 In the main flying displays, the Royal Navy had the Black Cats Helicopter Display Team flying a pair of AgustaWestland Wildcat HMA2 aircraft. 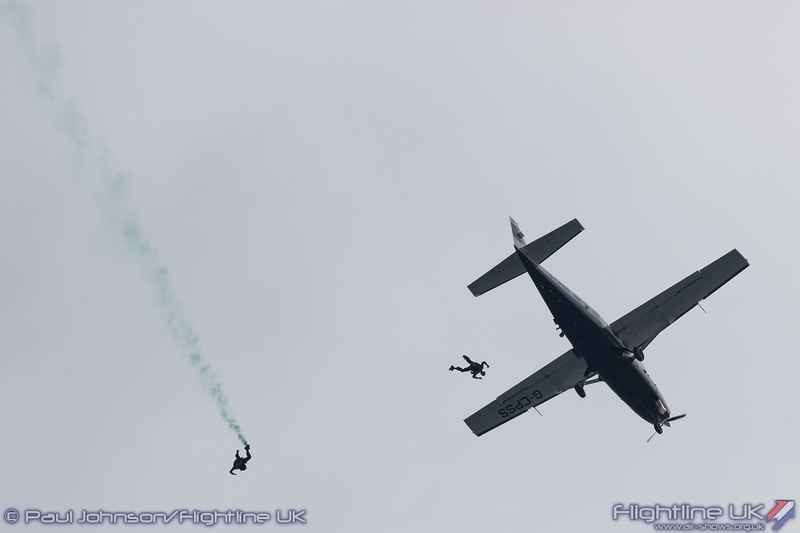 The first of the contributions from the British Army were the Tigers Parachute Display Team from the Proncess of Wales Royal Regiment. 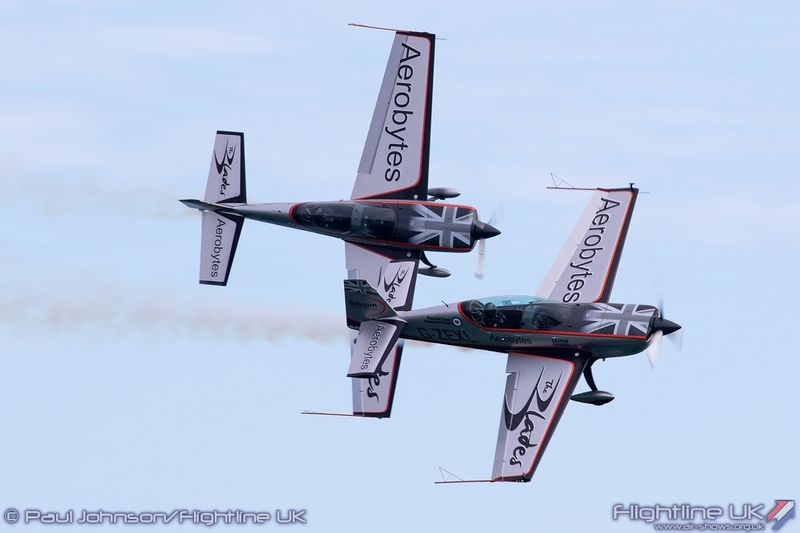 Now based at Paderborn in Germany, the team gone from facing disbandment to being one of the most innovative and enjoyable displays on the circuit. 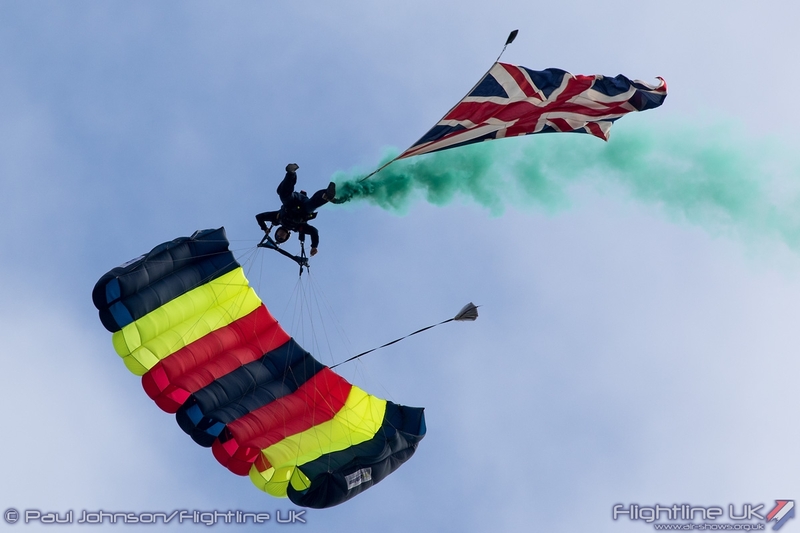 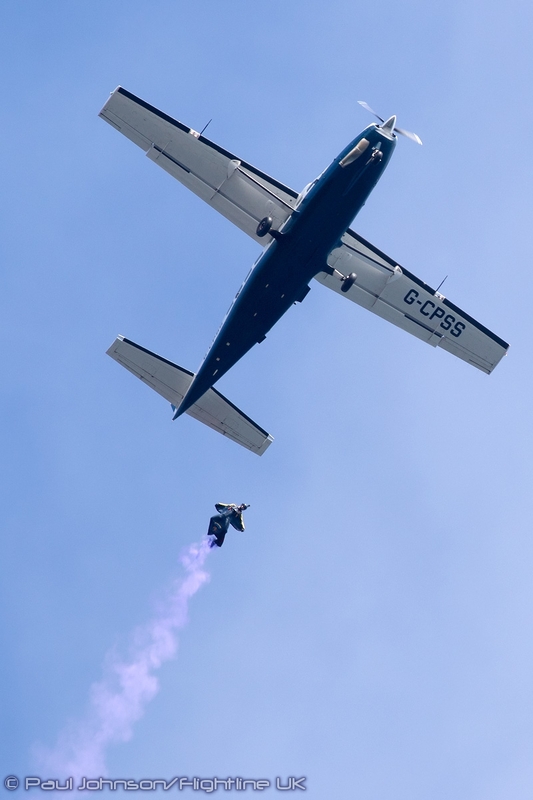 2015 has seen the team bring in Wingsuit displays alongside more traditional freefall displays and are supporting many major events around the UK and into Europe. 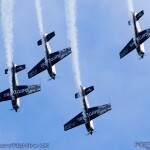 The Royal Air Force has nearly all of their display teams involved at some point across the Festival. 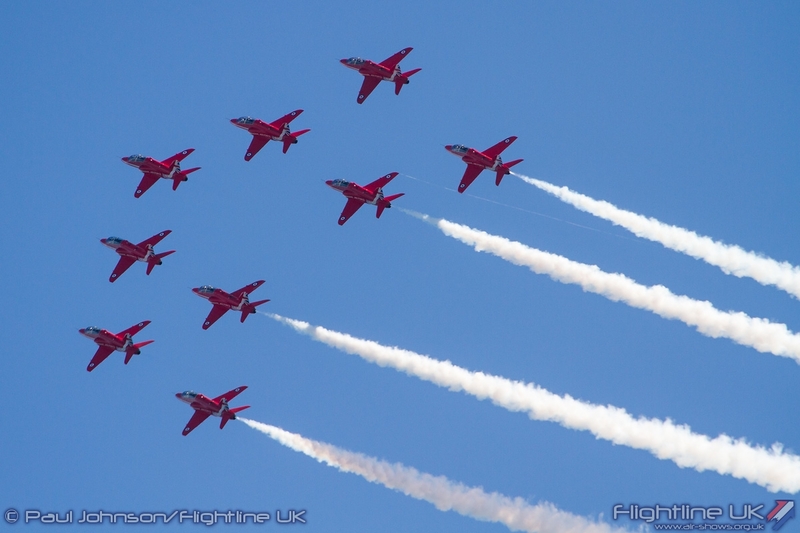 The Red Arrows were scheduled to appear over all four days, though like the rest of the flying their appearance on Thursday was cancelled by poor weather. 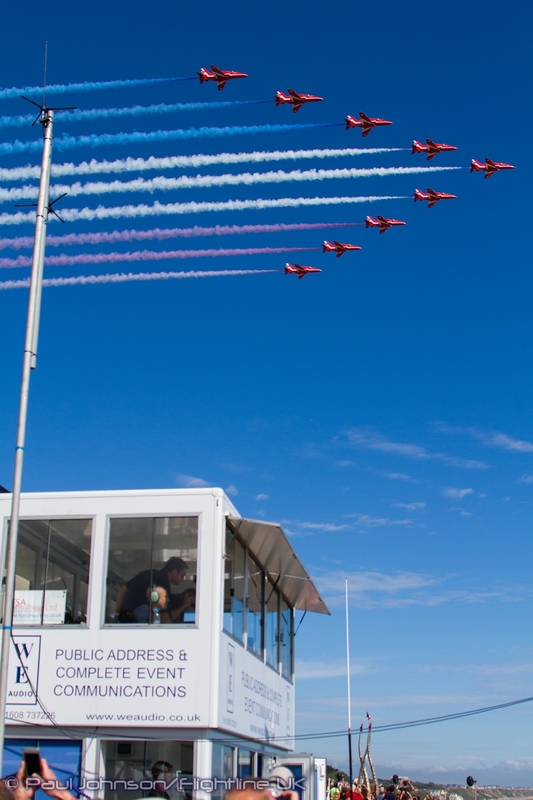 Unusually for the Air Festival weekend they were not based at Bournemouth Airport instead choosing Exeter Airport which was closer to a number of other commitments in the South west. 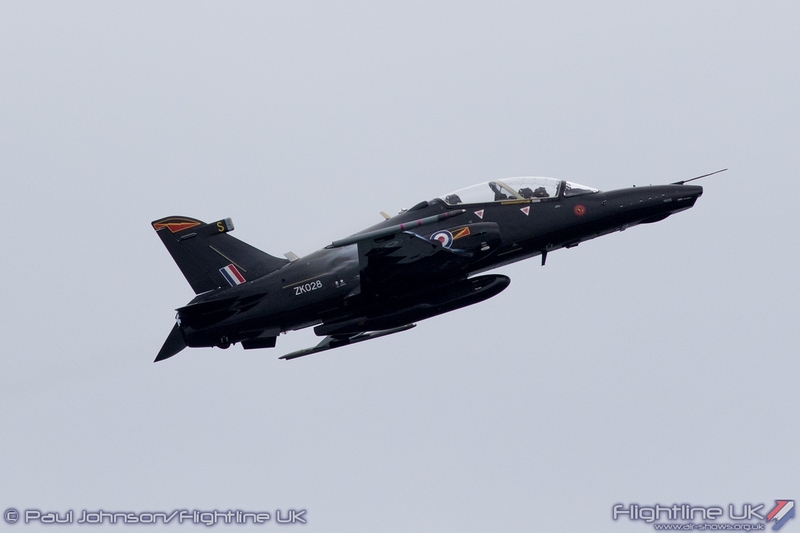 This did cause them a few problems on the Friday as the weather remained poor in that area leading to the team cutting short their display so they had enough fuel for a prolonged instrument approach back to Exeter. 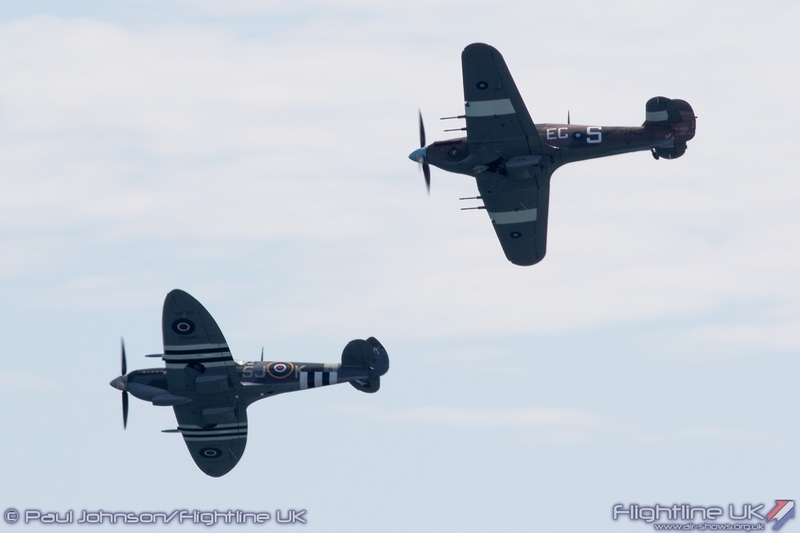 The Battle of Britain Memorial Flight were also out in force with the Douglas Dakota III performing as solo item with the pair of Supermarine Spitfire IX and Hurricane IIc performing together as a salute to the 75th Anniversary of the Battle of Britain. 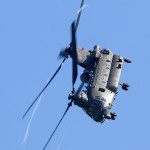 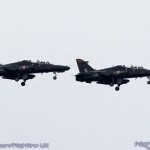 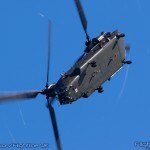 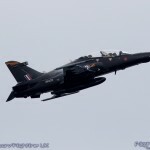 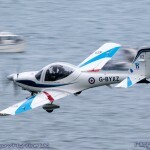 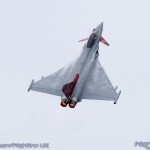 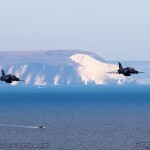 As ever, the RAF also had a full array of solo and role demonstration displays in action. 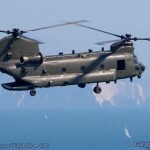 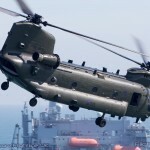 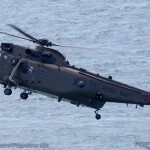 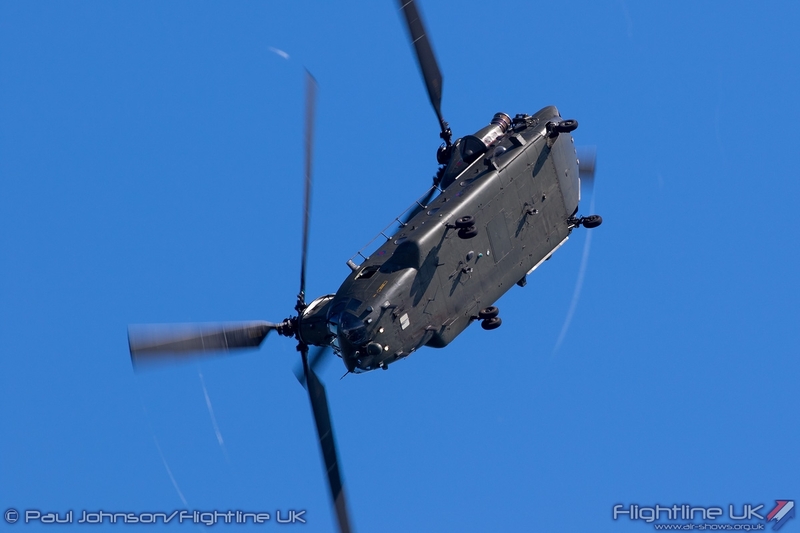 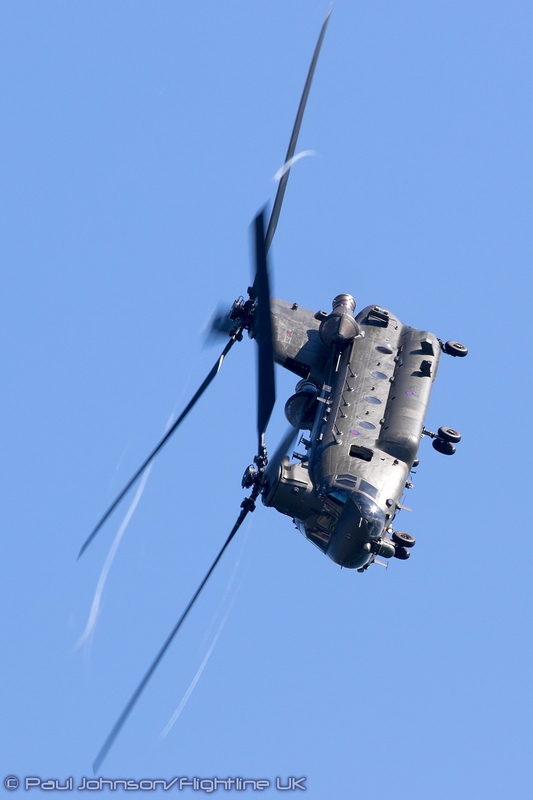 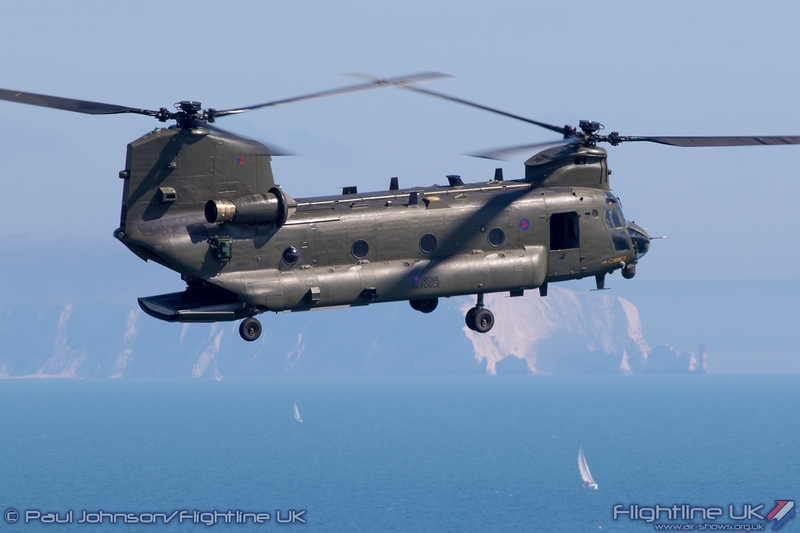 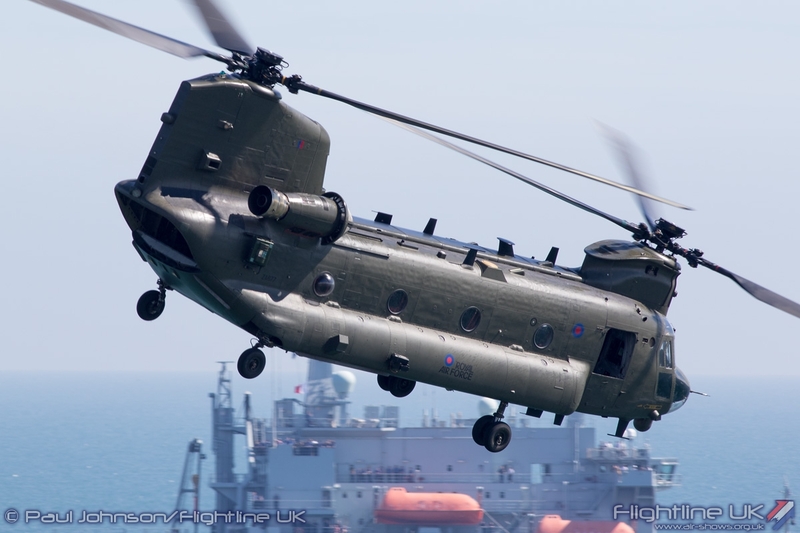 Adding to the Rotary action was the excellent Boeing Chinook HC4 display which is always impressive viewed from the top of the East Overcliff Drive where it appears at eye-level. 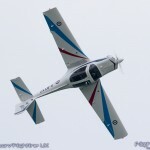 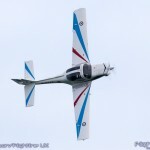 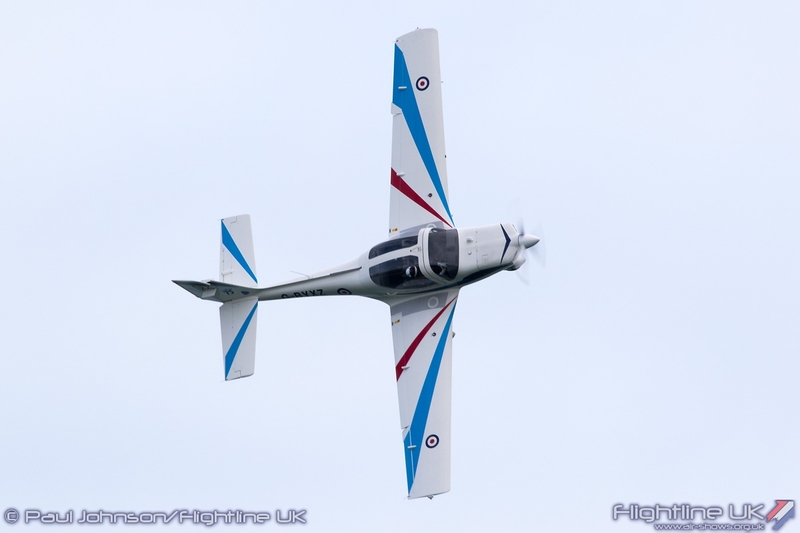 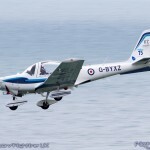 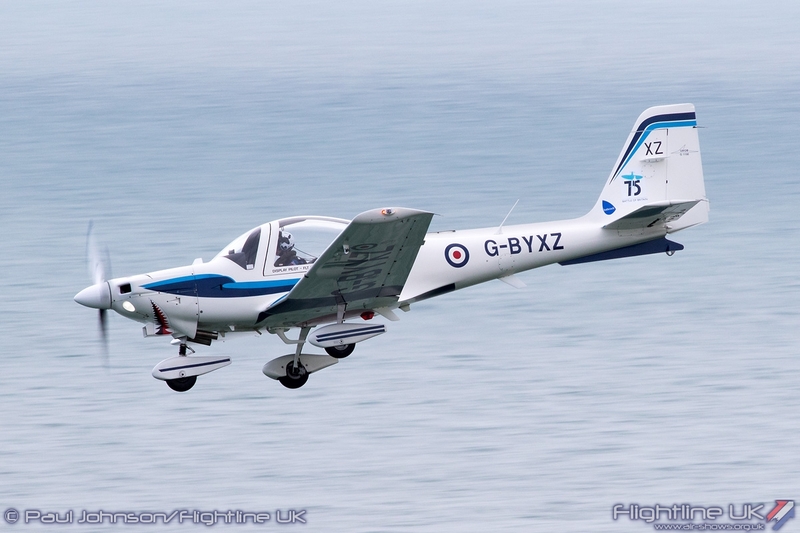 Flt Andy Preece gave a wonderful aerobatic account of the Grob Tutor T1 and the new BAE Systems Hawk T2 Role Demonstration certainly got eyes looking skywards. 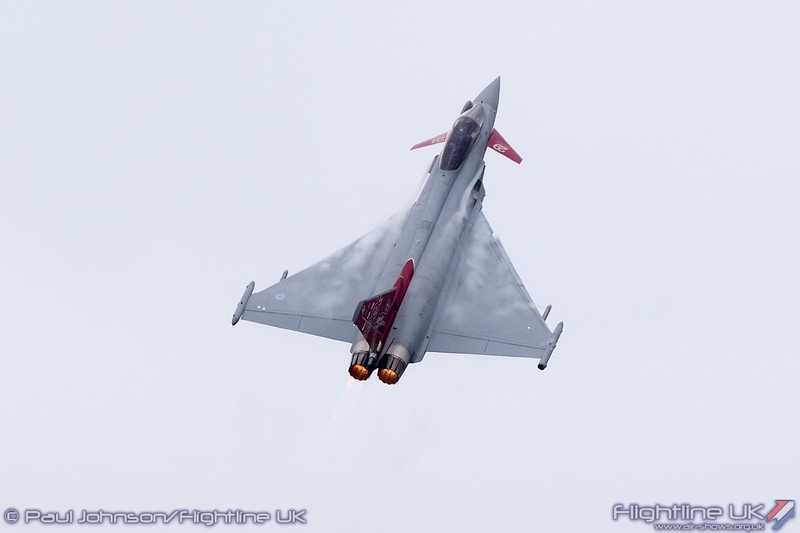 Completing the RAF displays was the Eurofighter Typhoon FGR4 flown by Flt Lt Jonny Dowen. 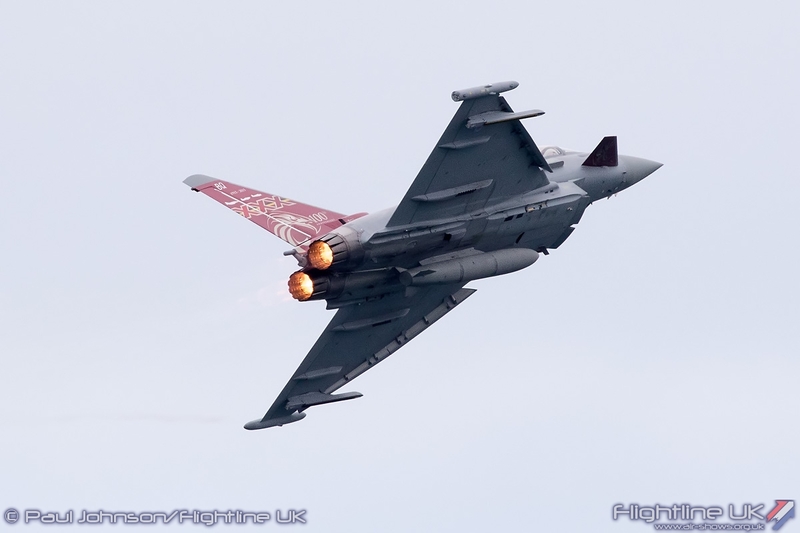 Jonny’s displays have been incredibly impressive throughout the summer and the crowds at Bournemouth certainly enjoyed the noise of agility of the RAF’s frontline fighter. 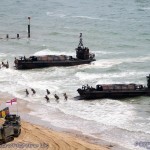 As well as the modern military might, Bournemouth also looked back to history with several different displays. 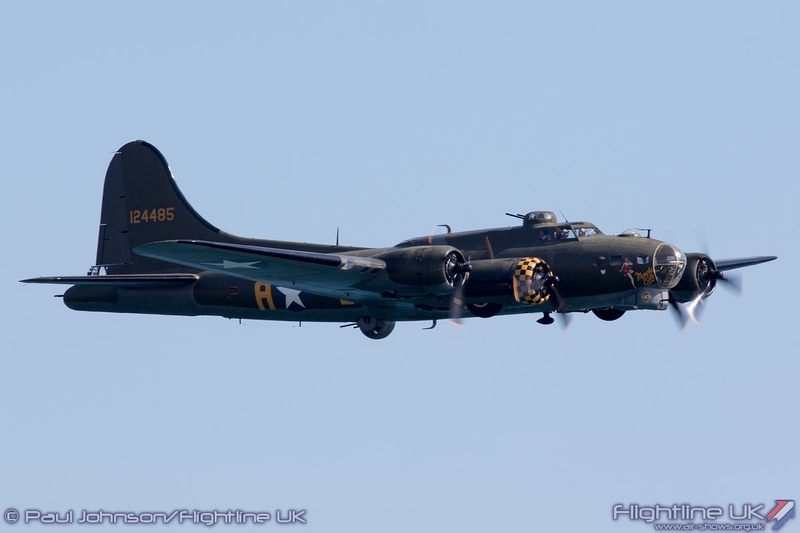 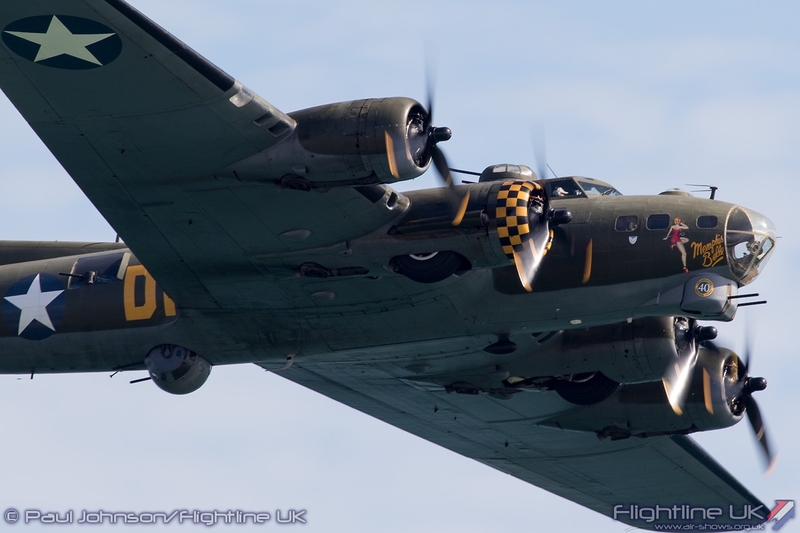 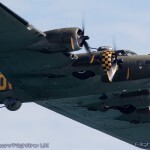 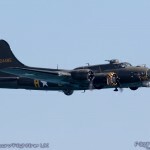 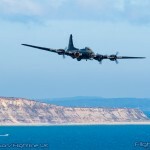 Boeing B-17G Flying Fortress Sally-B made a welcome return over three days as a reminder of the efforts and sacrifice of the United States Army Air Force during the Second World War. 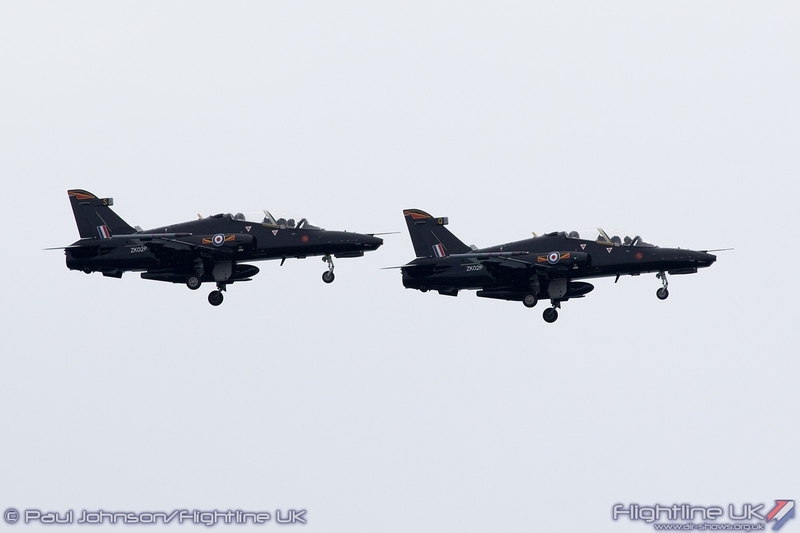 However, the weekend saw some great classic jets appear. 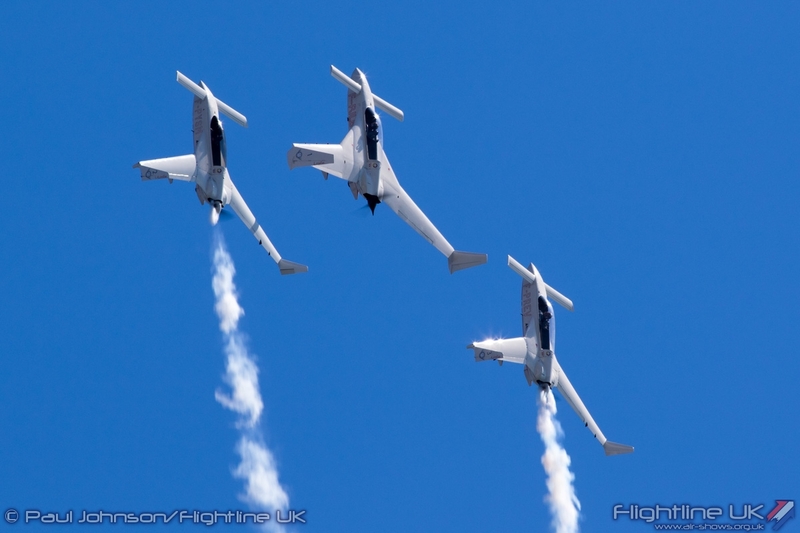 The Norwegian Air Force Historical Squadron continued its UK tour with the Mikoyan MiG-15UTI (actually a polish built Lim-2) making its Bournemouth debut. 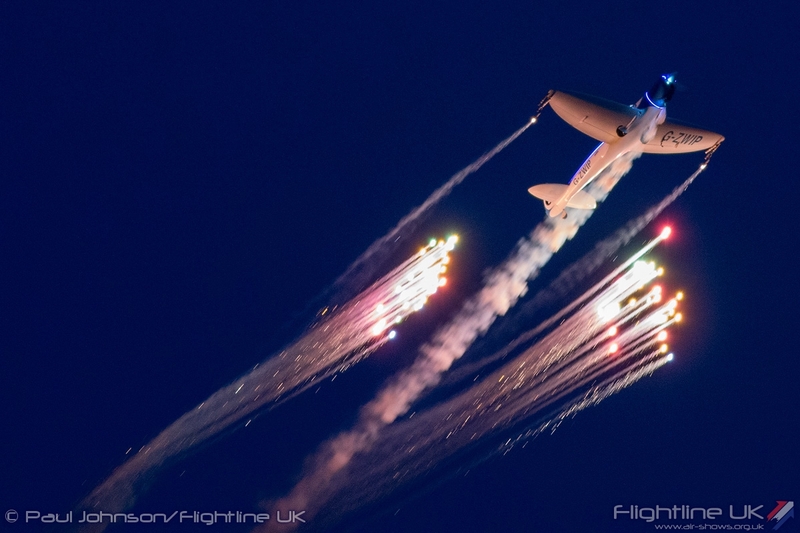 A classic jet closely associated with Bournemouth is the de Havilland Sea Vixen FAW2. 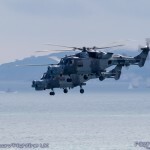 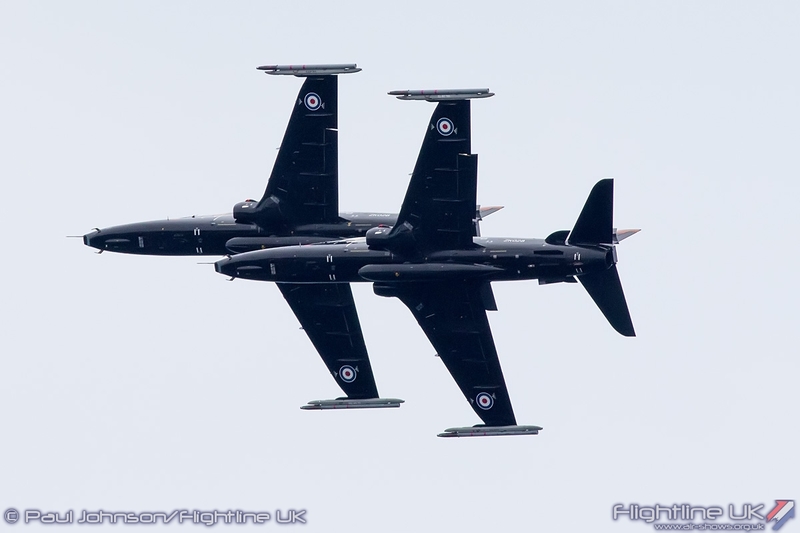 Though now based at RNAS Yeovilton it was good to see the aircraft continue its association with the Air Festival. 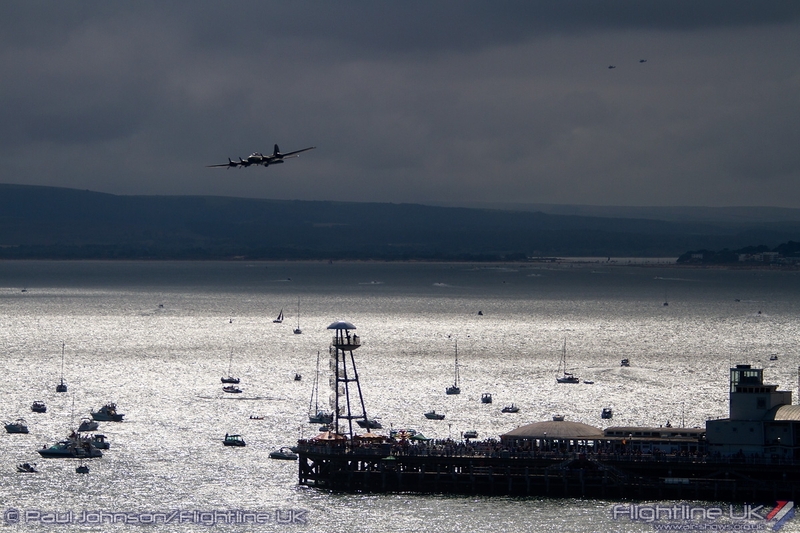 Arguably the biggest draw of the Air Festival weekend was the Avro Vulcan B2 XH558. 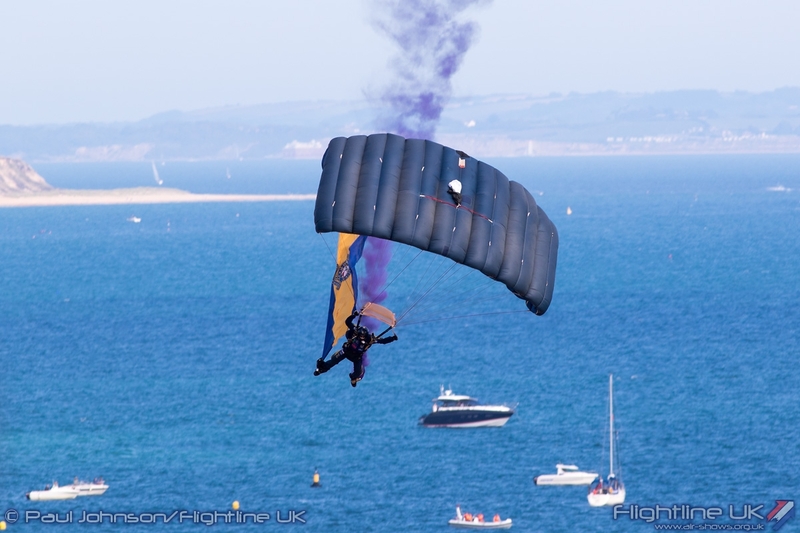 While Saturday saw a mini-display at Bournemouth between appearances at Shoreham and Dawlish, Sunday saw the mighty Delta perform a final full display along the seafront. 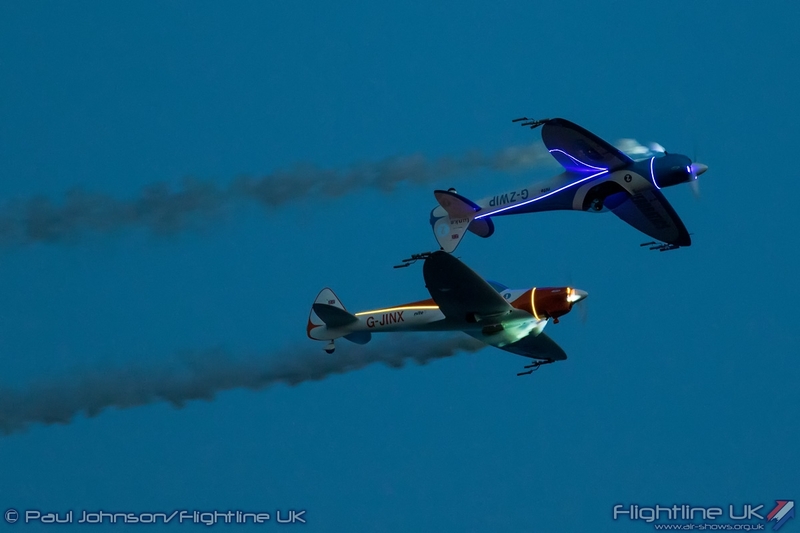 The decision only to have a full display on the Sunday did raise a few eyebrows and headlines, but it was an entirely understandable decision considering just how busy Bournemouth and the Air Festival site is on the Saturday with crowds not only for the flying display, but also the big “Night Air” Concerts in the evenings. 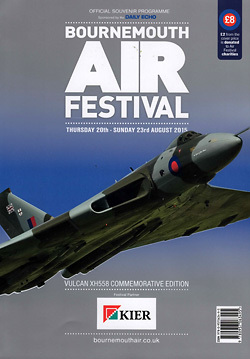 The Vulcan has been an important part of the Air Festival for many years and the aircraft even took pride of place in much of the event publicity material. 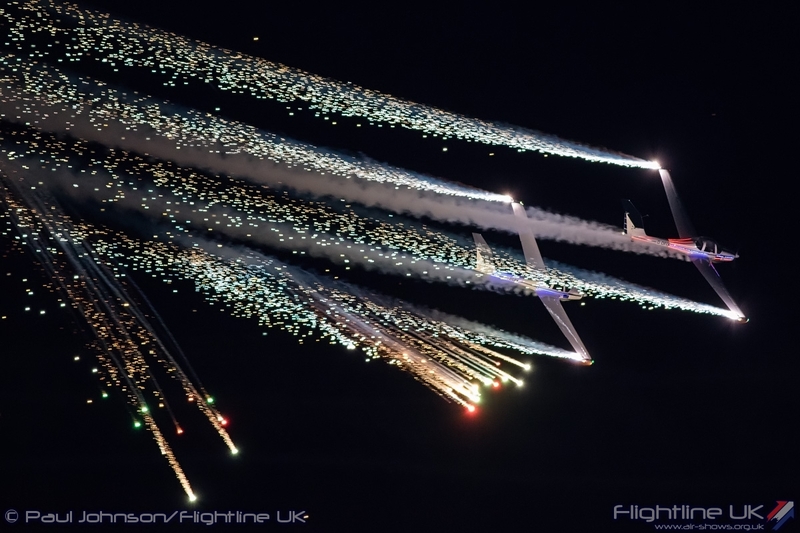 Appearances at the Air Festival have probably been as equally important to the Vulcan to the Sky Trust as the event brings in such a large and wide ranging audience. 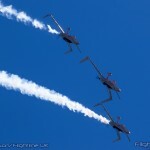 As always there was a great selection of civilian display teams taking part during the Air Festival. 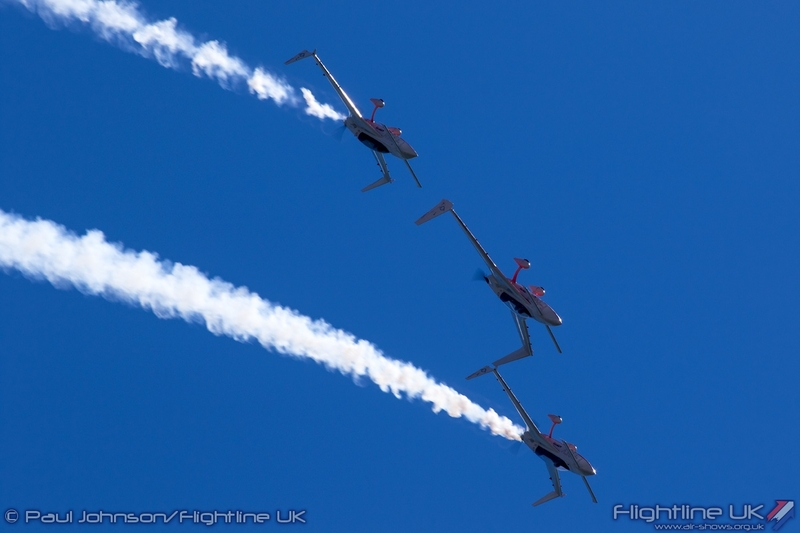 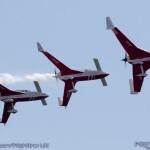 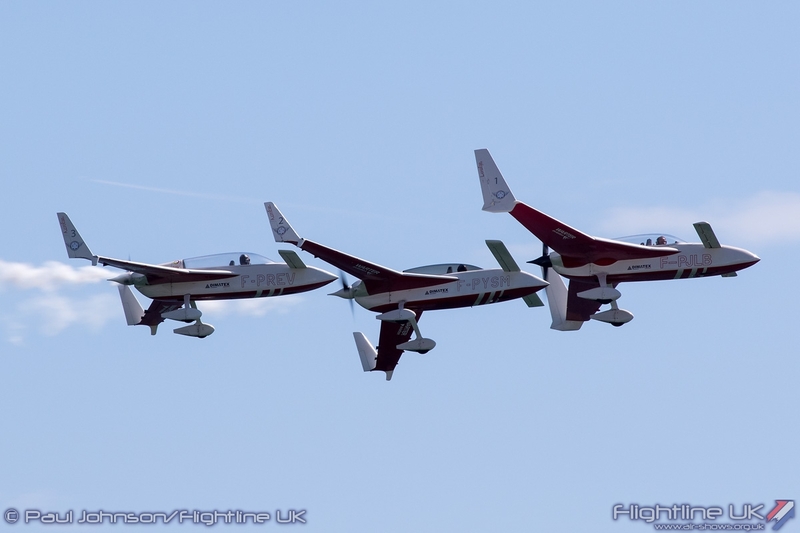 The Blades Aerobatic Team are regular participants each year but 2015 also saw the welcome return of Patrouille Reva from France with their unusual Rutan Vari-Ez and Acro-Ez homebuilts. 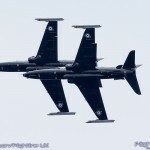 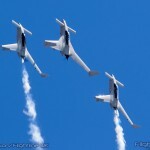 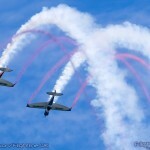 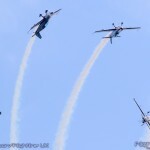 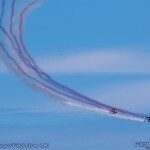 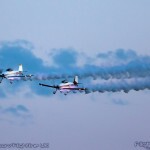 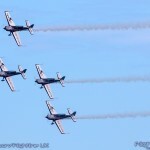 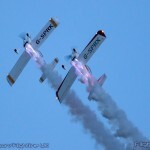 Friday also saw the Twister Aerobatics Team in the main flying display. 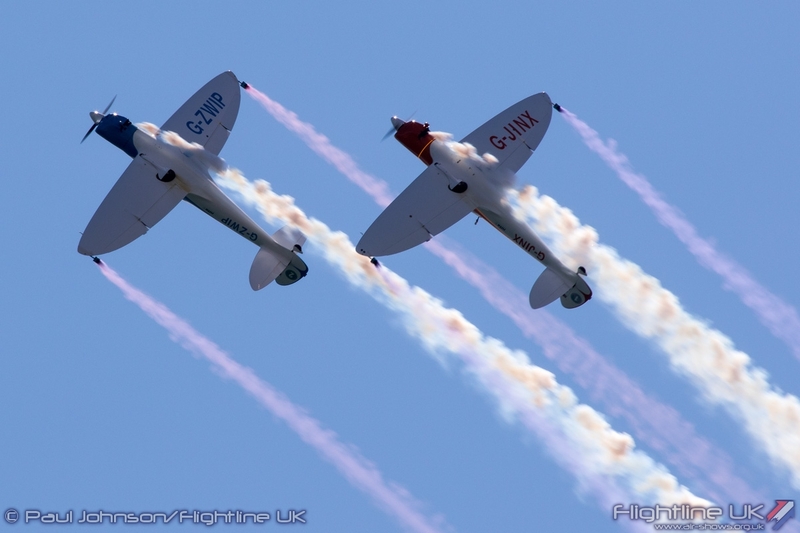 The Weekend saw the amazing Matadors Aerobatic Team of Paul Bonhomme and Steve Jones return to the Air Festival with their incredible close formation display. 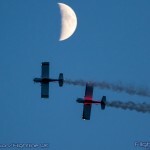 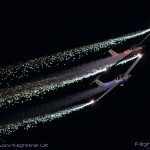 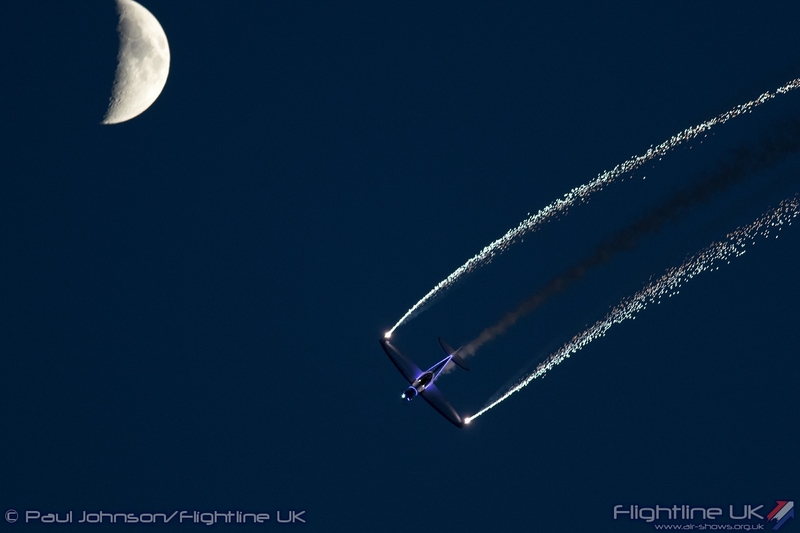 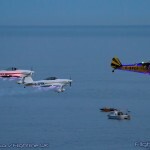 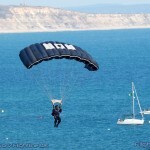 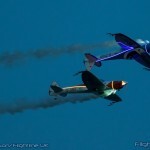 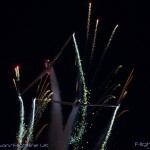 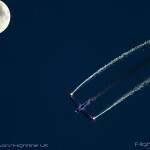 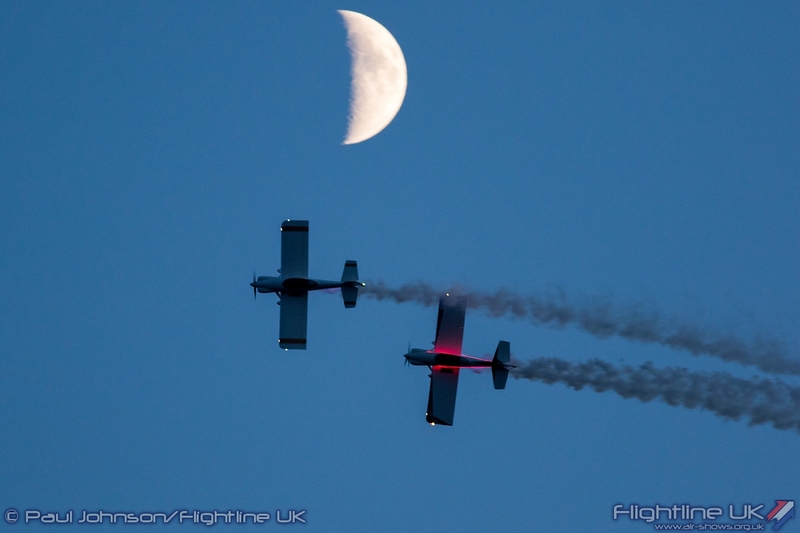 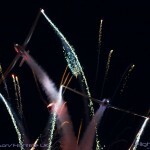 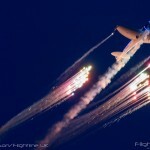 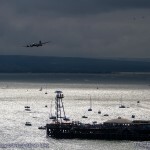 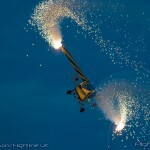 However it is the “Night Air” Dusk Displays that have become Bournemouth Air Festivals stand out event. 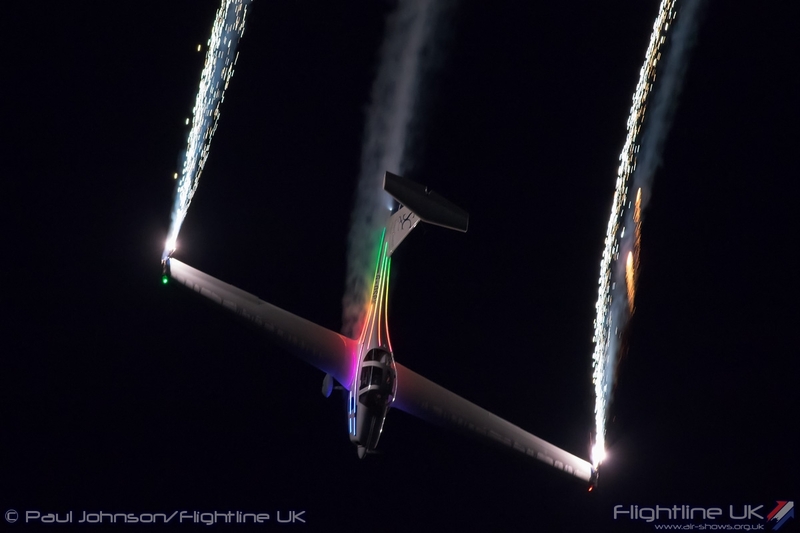 The interest in specialist dusk and now even full Night displays has really blossomed and 2015 has seen a number of new teams come on the scene. 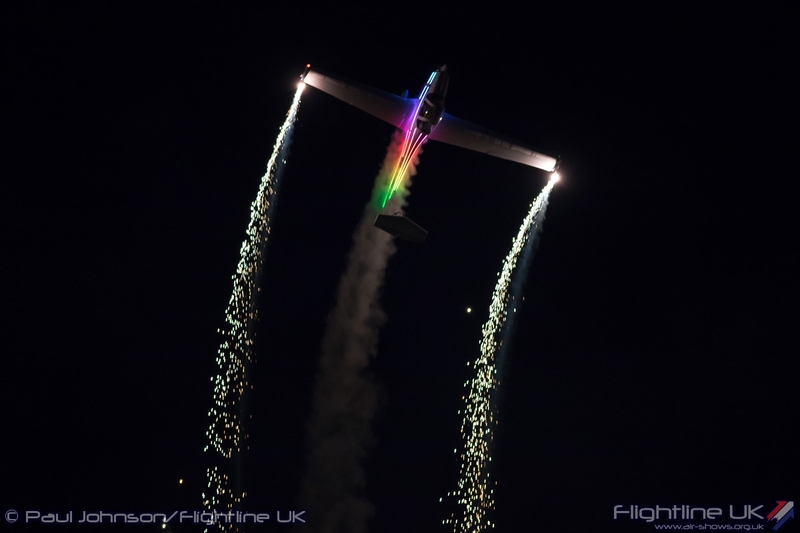 Sadly, this year the full Night Air display was only seen on the Friday night as the tragic events at Shoreham left a number of Night Air aircraft stranded. 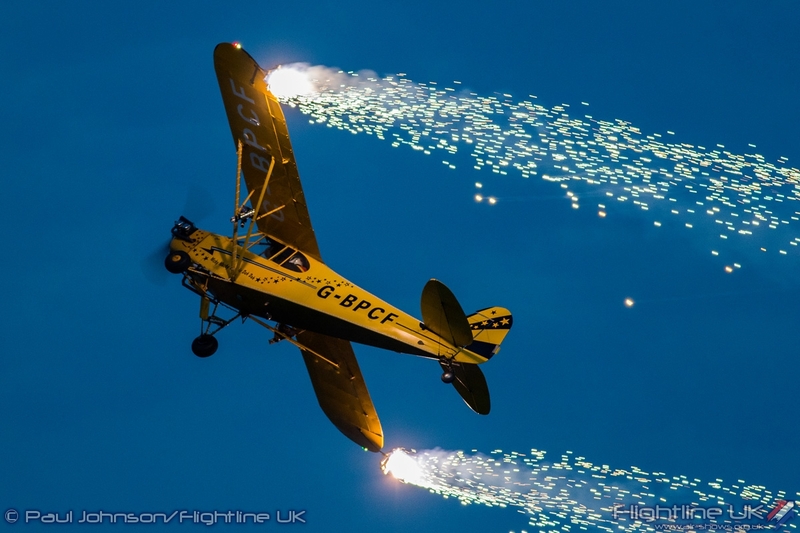 Opening the event was Brendan O’Brien with his highly modified Piper J3C Cub flying alongside the newest aerobatic team to feature specialist effect, the Fireflies. 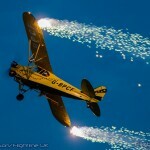 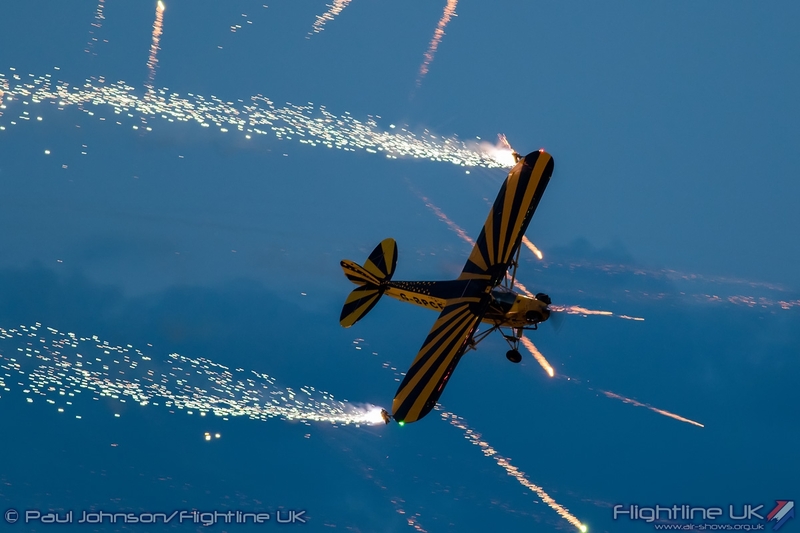 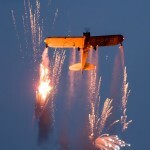 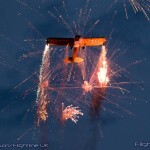 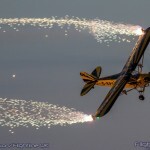 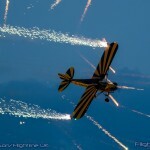 Brendan’s display is quite incredible as in total his aircraft carries in excess of 30 different pyrotechnics and the number seems to grow each year creating a real spectacle for the crowd. 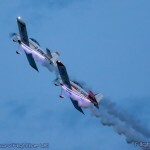 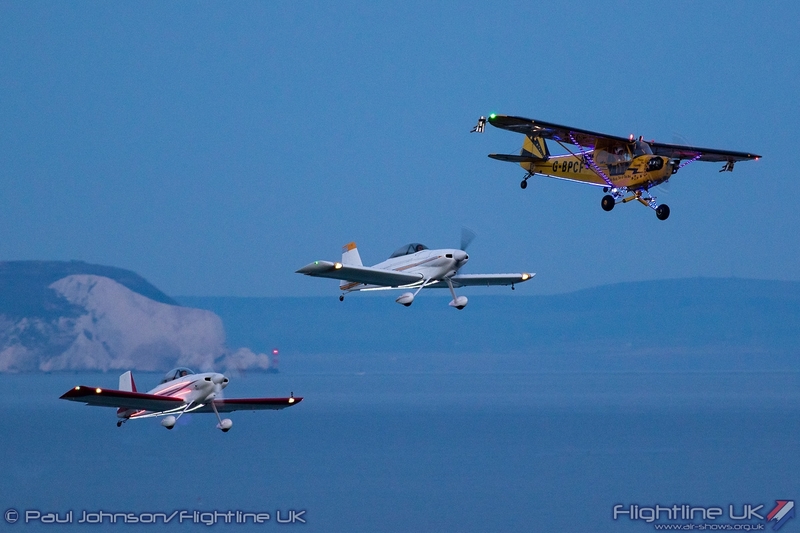 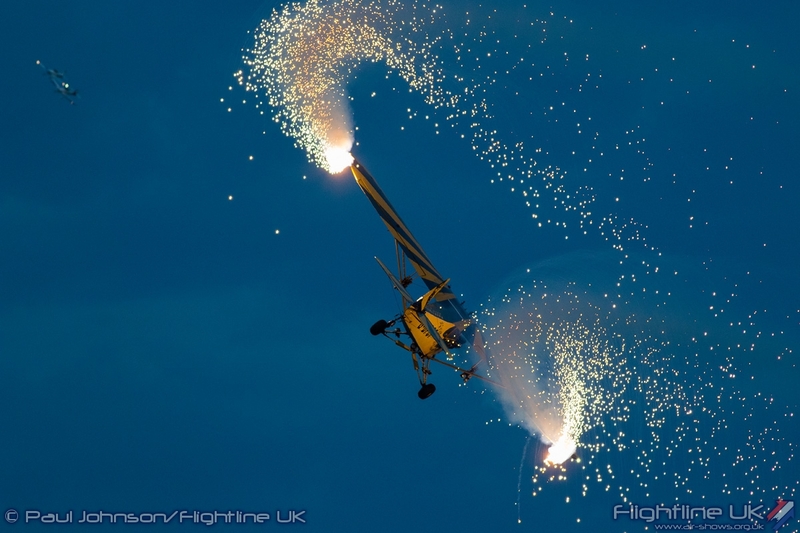 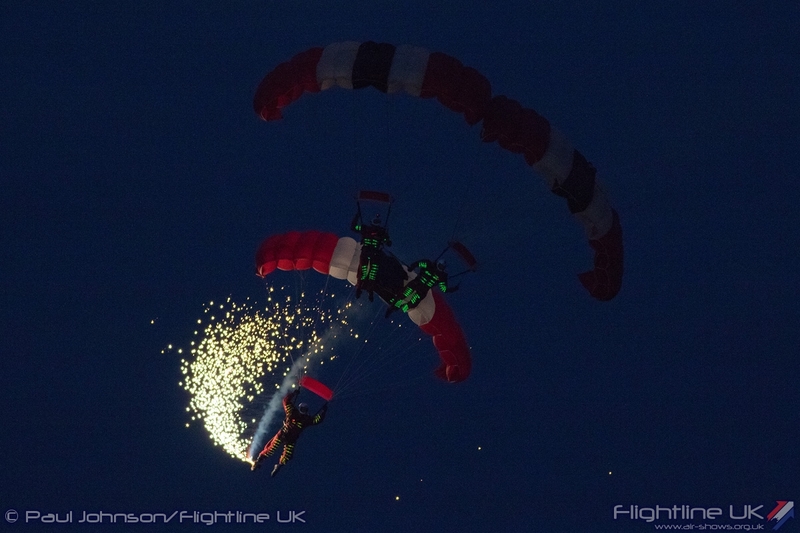 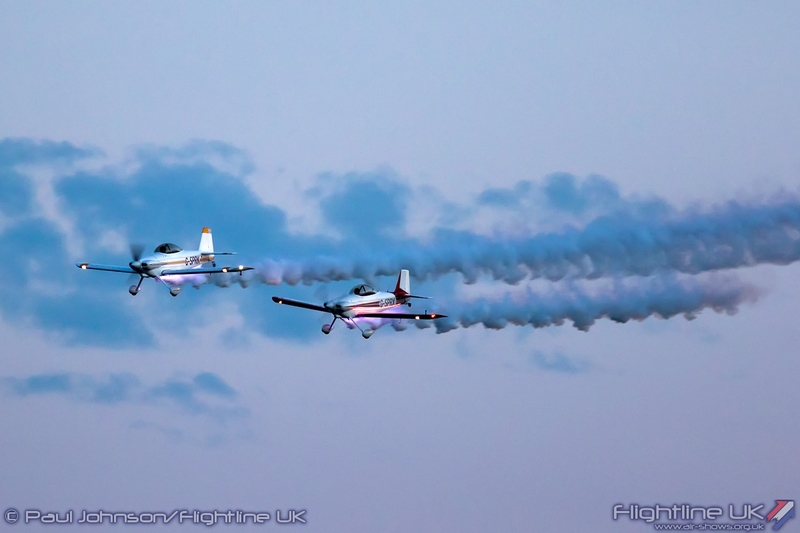 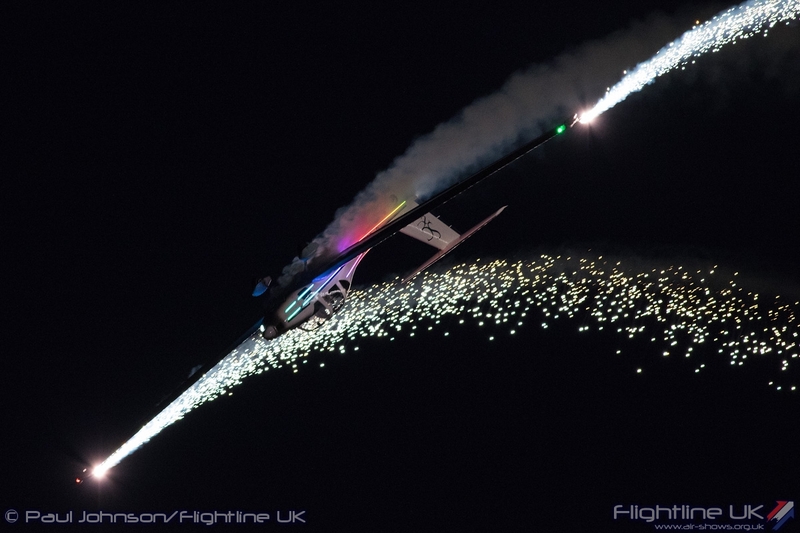 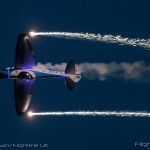 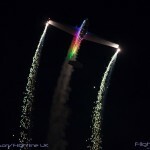 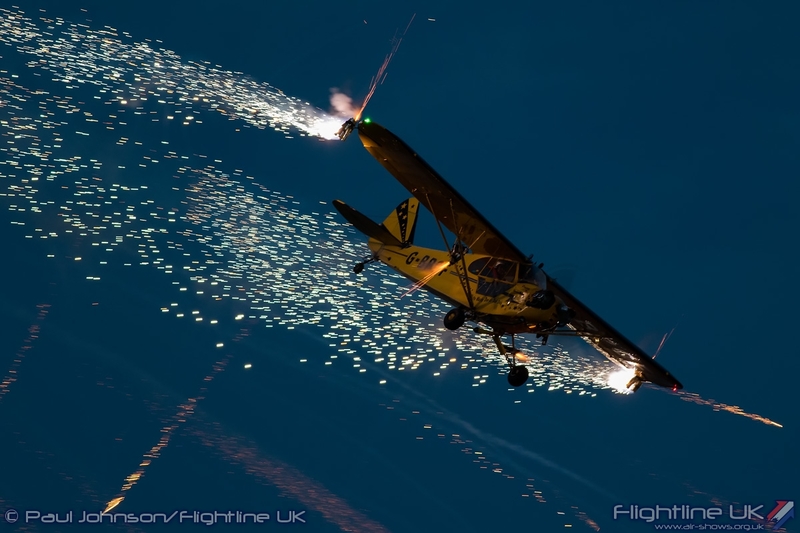 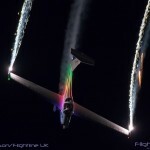 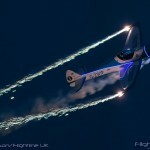 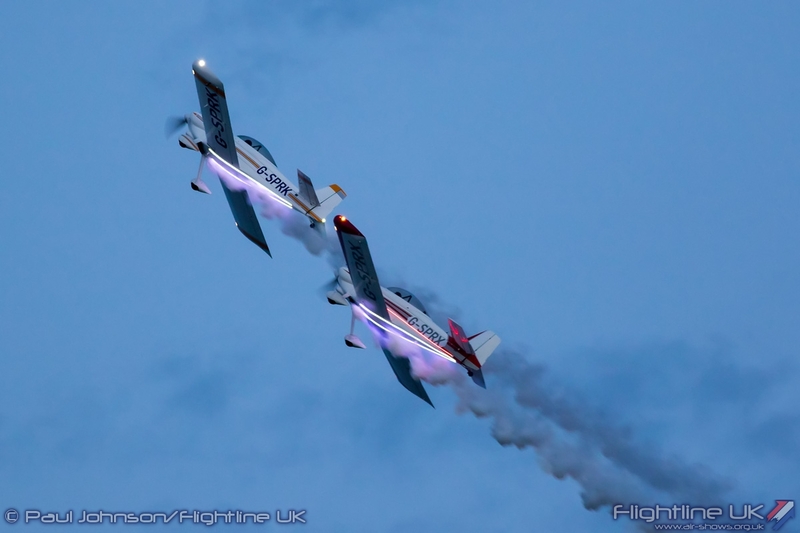 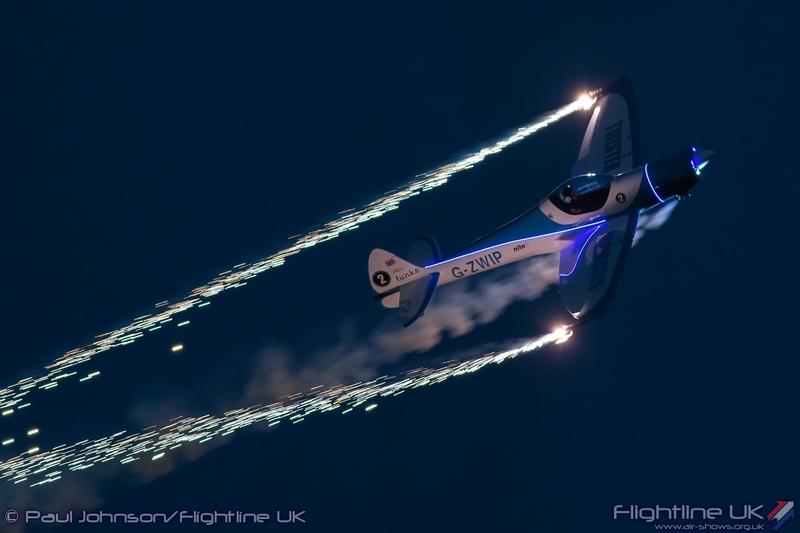 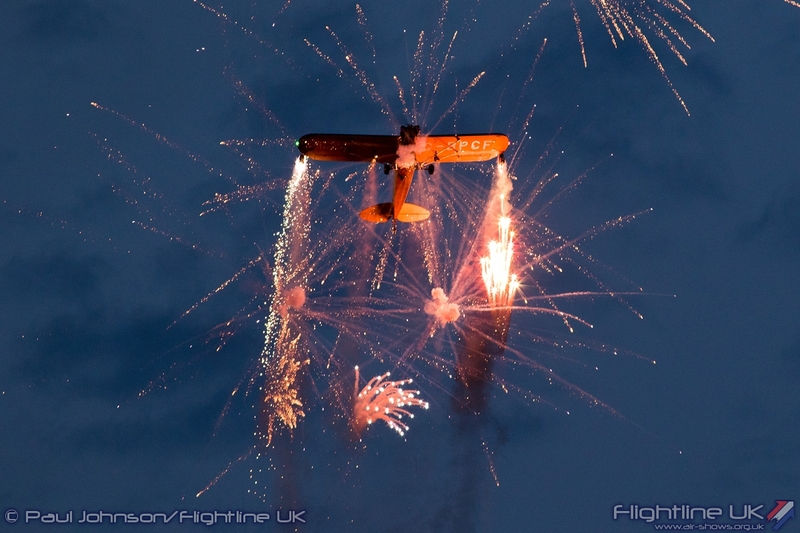 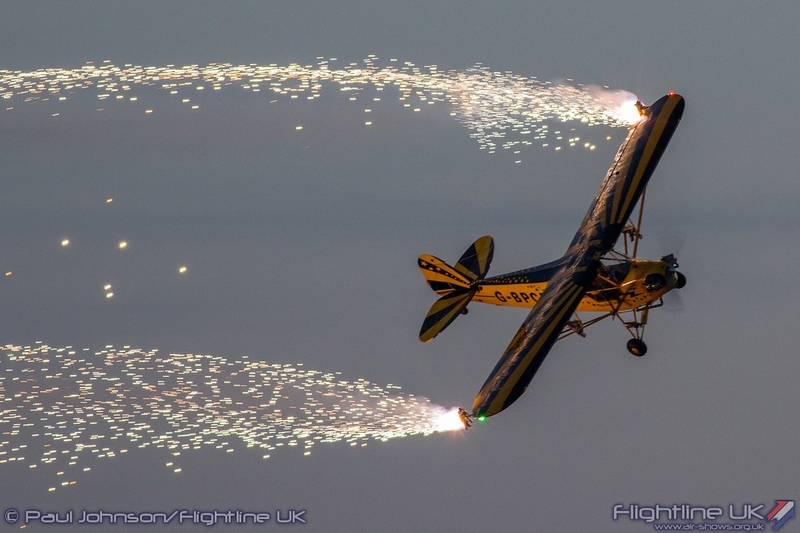 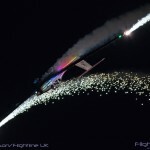 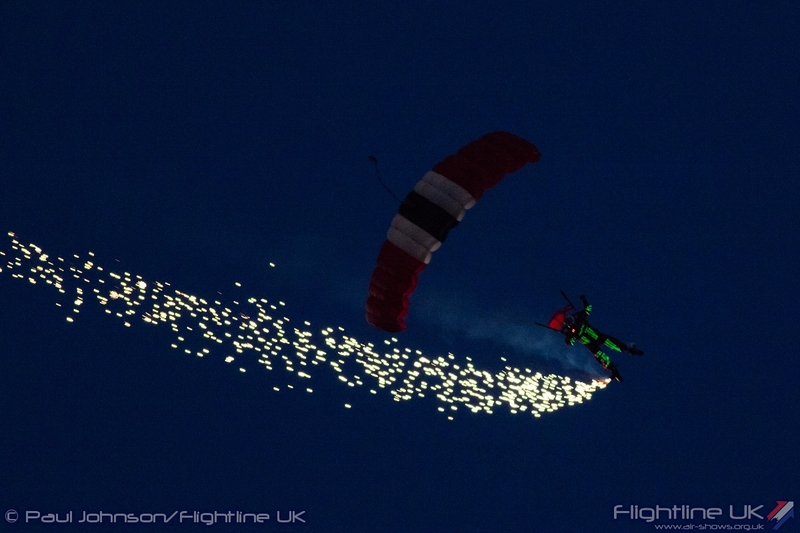 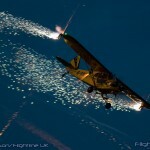 Jon Gowdy and Andy Durston make up the new Fireflies Aerobatic Team flying a pair of Vans RV4 aircraft modified with LED lighting effects. 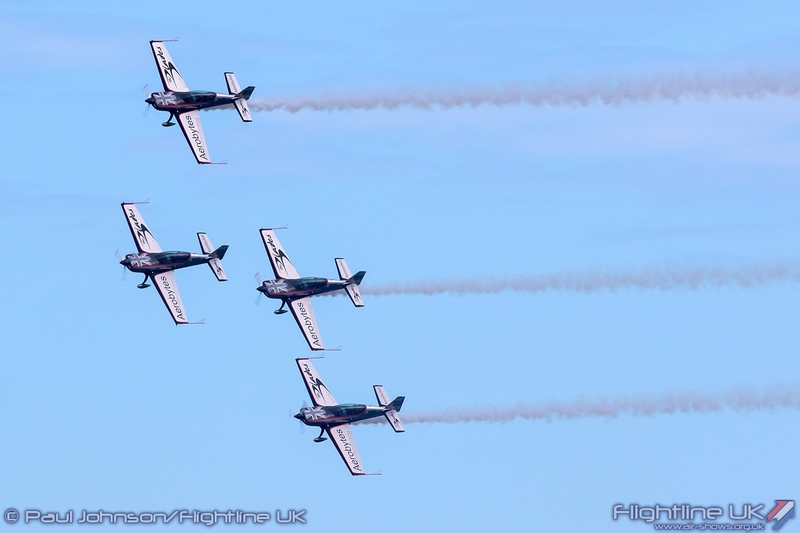 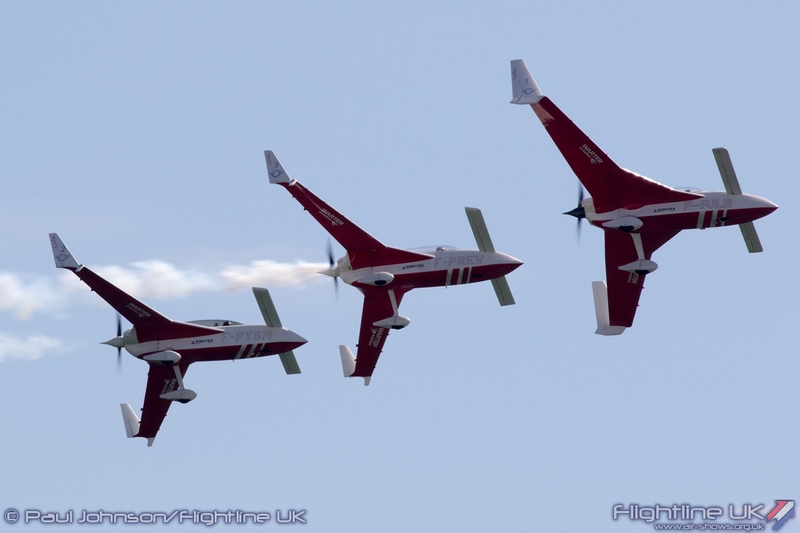 They will soon also be certified to carry wingtip pyrotechnics too but at Bournemouth they presented a fast moving and dynamic display of formation and synchronised aerobatics. 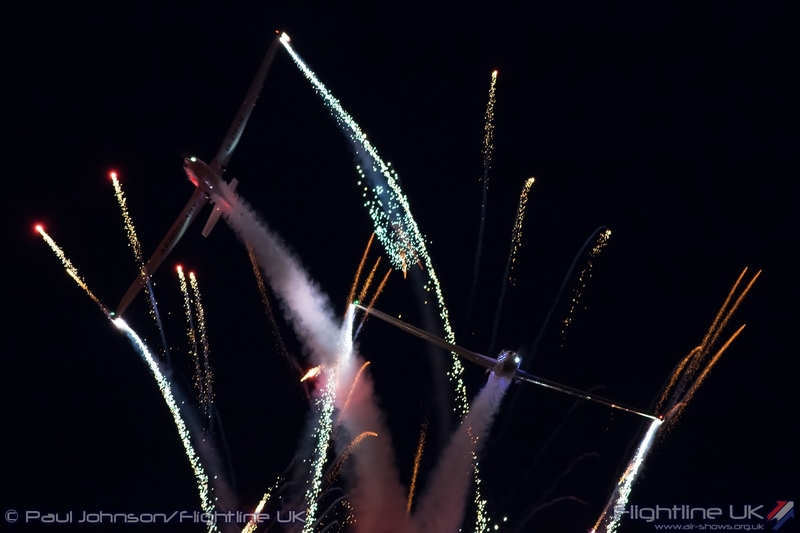 Long-time Air Festival favourites, the Twister Aerobatics Team also returned for the Night Air displays with their famous pyro show. 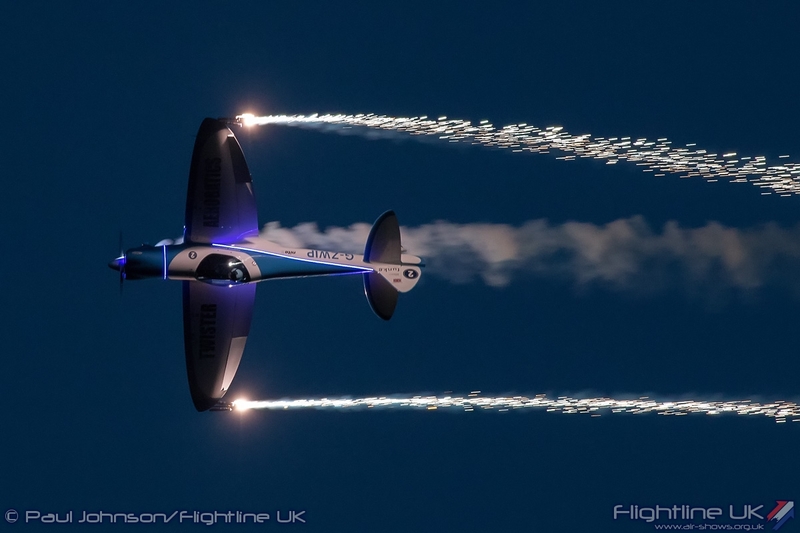 However both displays ended up being solo routines with Peter Wells able to show off more of the aerobatic qualities of the Twister with sparks flying from his wingtips. 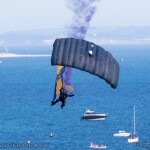 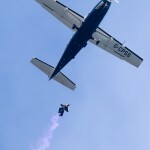 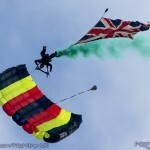 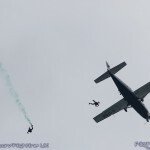 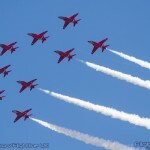 Friday also saw the Parachute Regiment’s Red Devils Parachute Display Team return to Bournemouth. 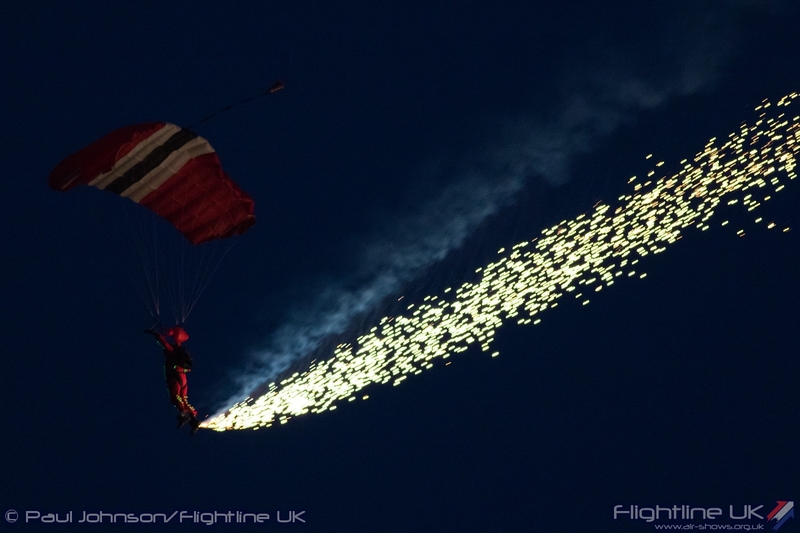 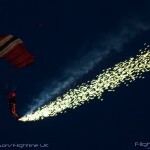 The Red Devils are one of very few parachute teams to do full night displays with pyrotechnics on their feet and glow-packs attached to their jumpsuits. 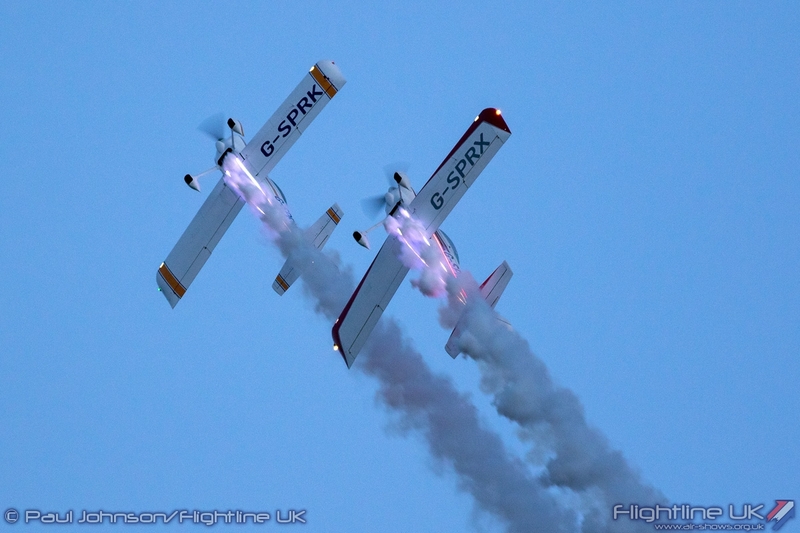 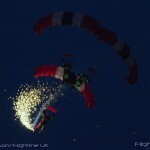 Completing Night Air were the new AeroSPARX Team. 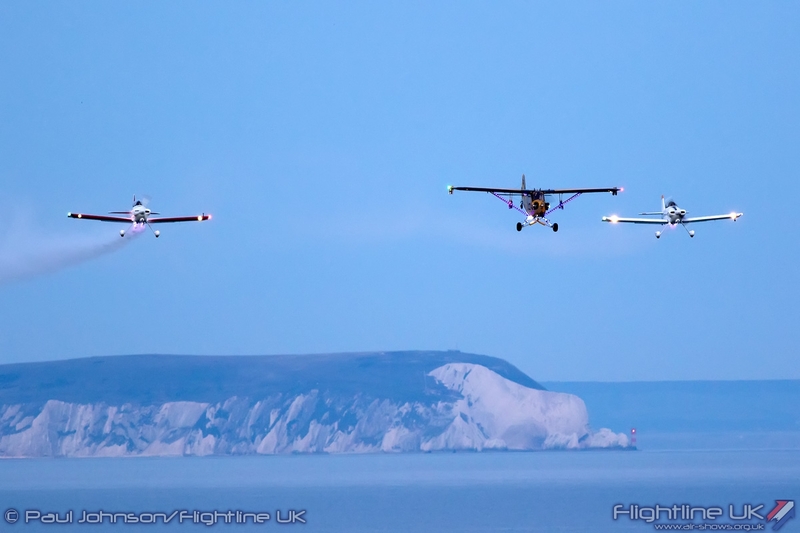 Flying a pair of Grob 109b motorgliders, the team are the first in the UK to be authorised to fly after civil twilight. 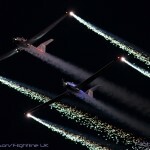 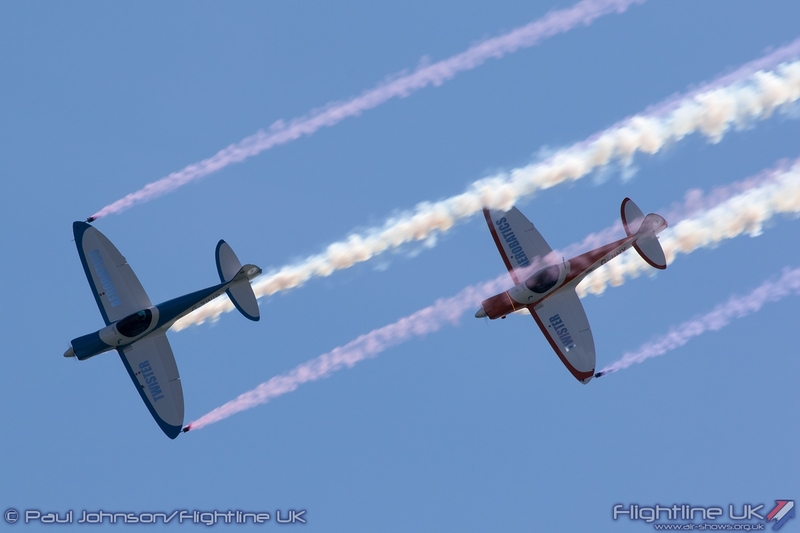 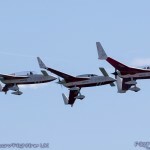 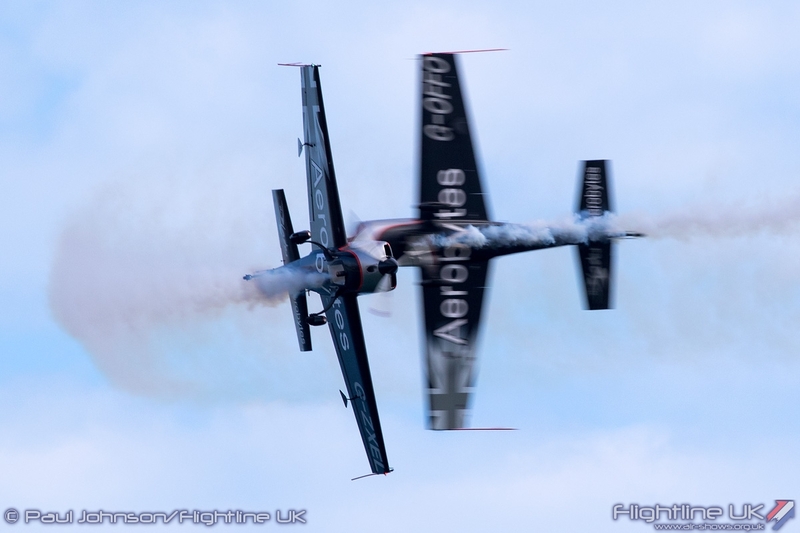 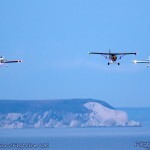 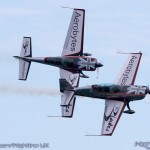 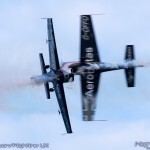 Led by Tim Dews with Guy Westgate flying the number two aircraft, the pair start initially in close formation before splitting into solo routines. 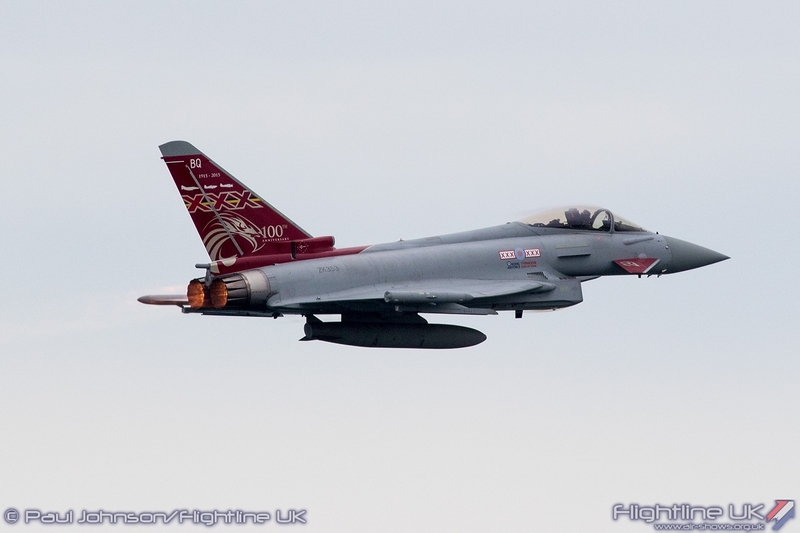 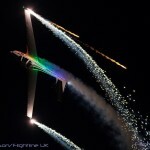 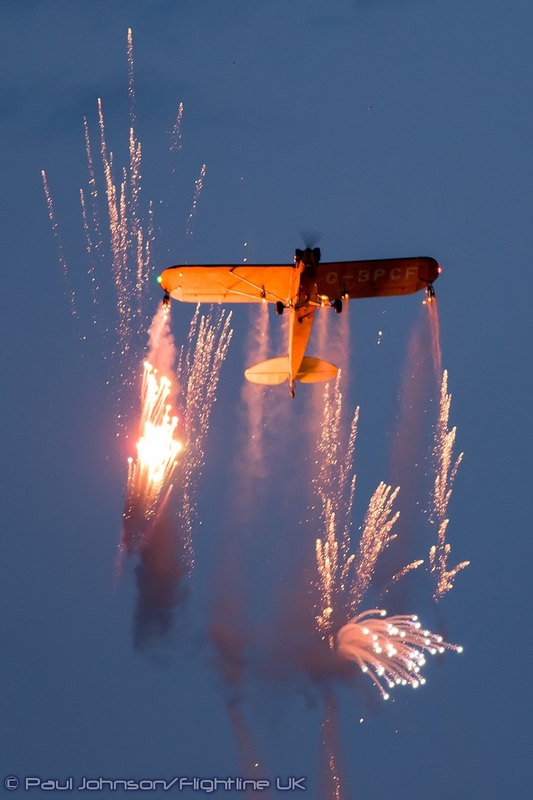 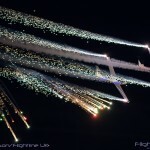 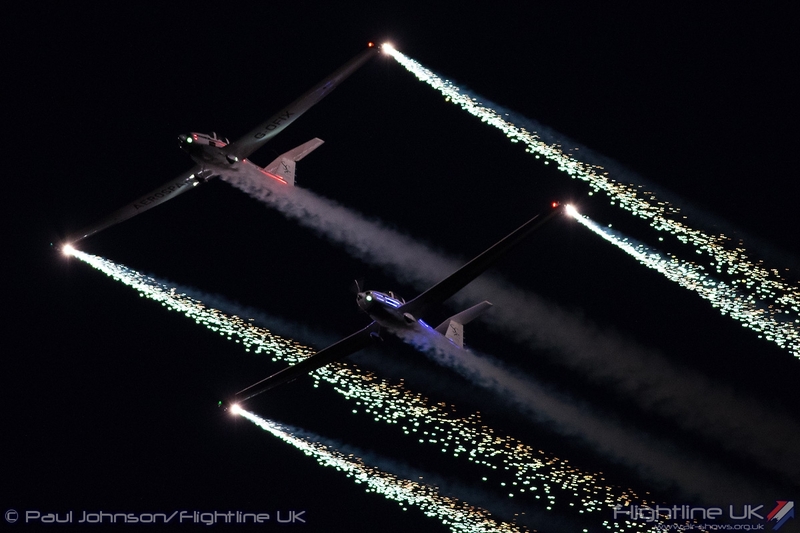 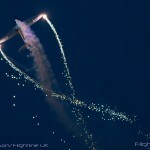 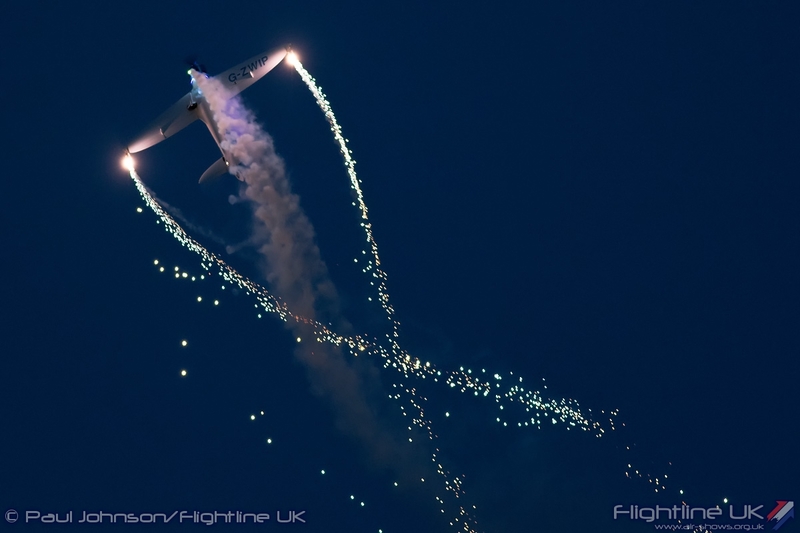 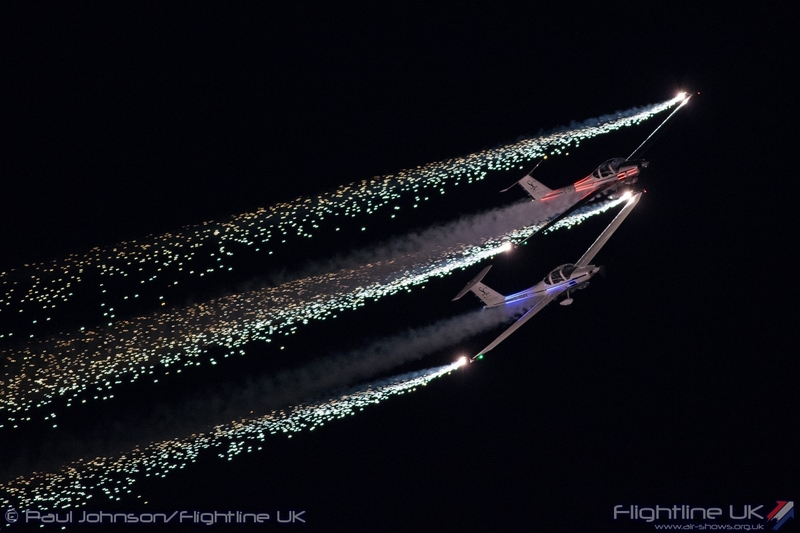 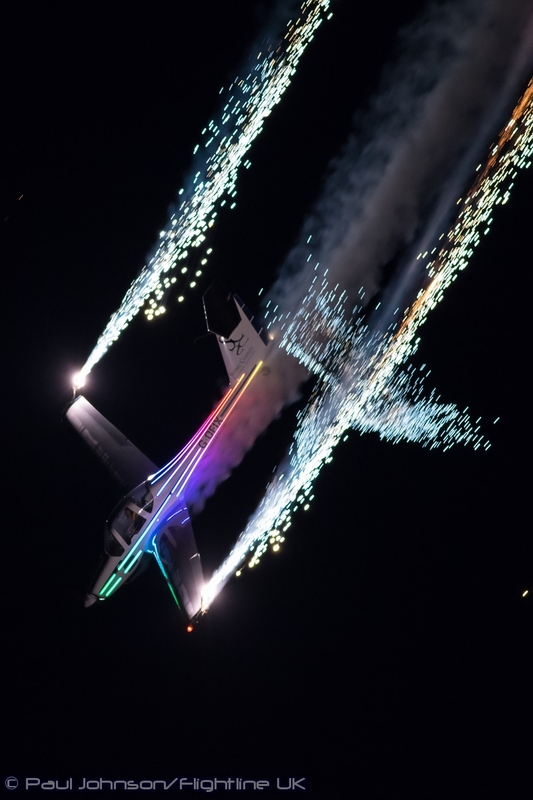 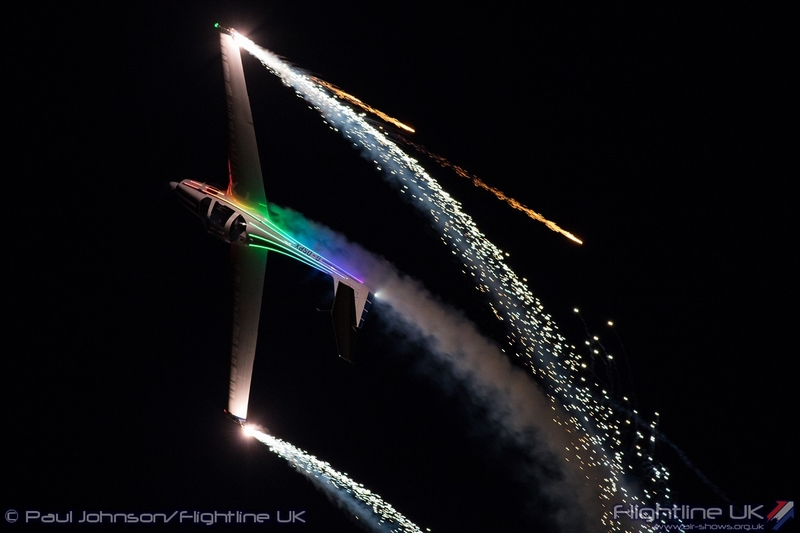 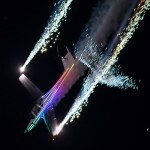 Not only are the aircraft equipped with pyrotechnics, but also a very sophisticated systems of external LED lighting which can display various colour combinations and effects that is well used throughout the team’s displays. 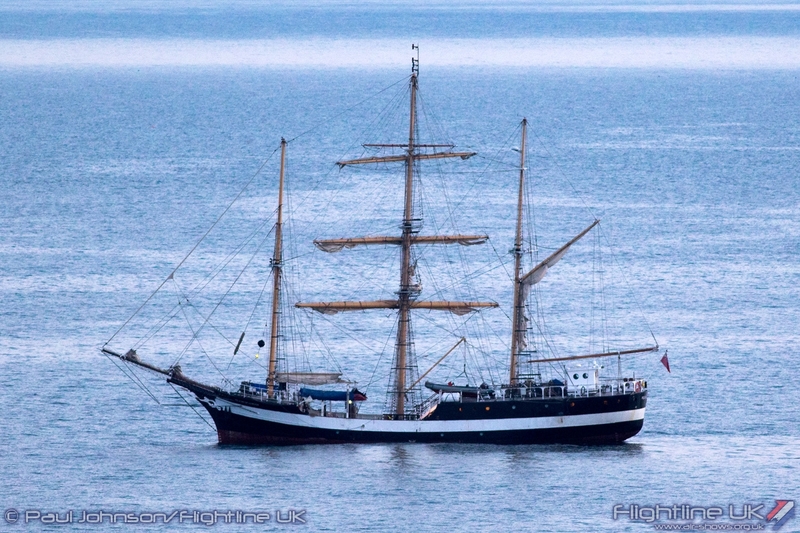 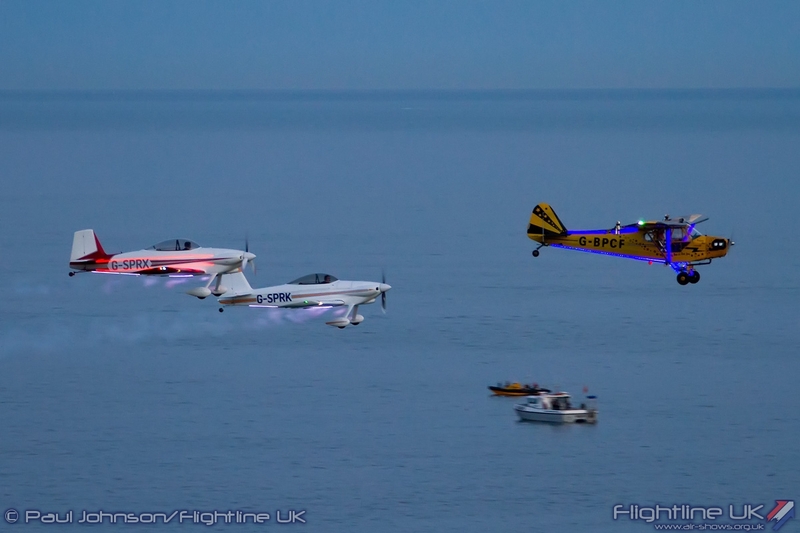 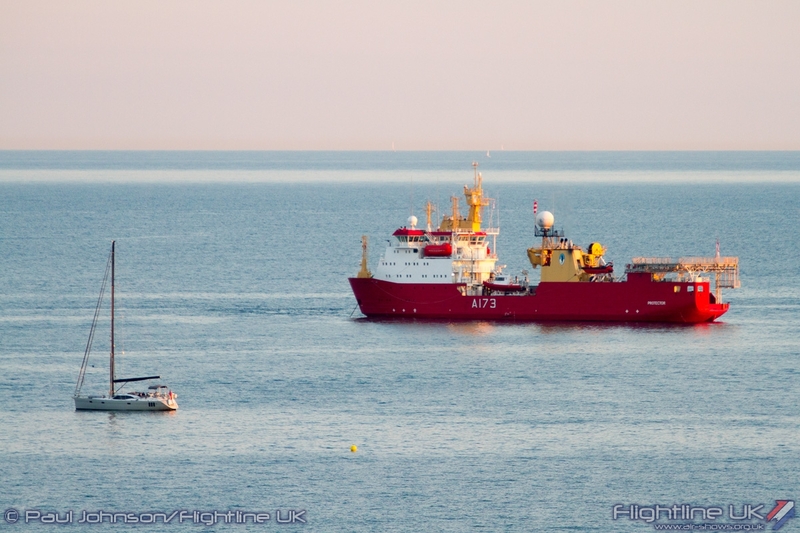 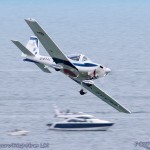 Despite a host of challenges, Bournemouth Air Festival was again a hugely enjoyable event offering entertainment from morning until well into the evening. 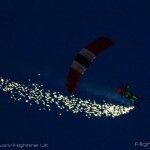 The organisers really have generated a huge event with a fantastic unique atmosphere and we hope the event continues well into the future.